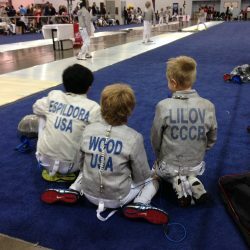 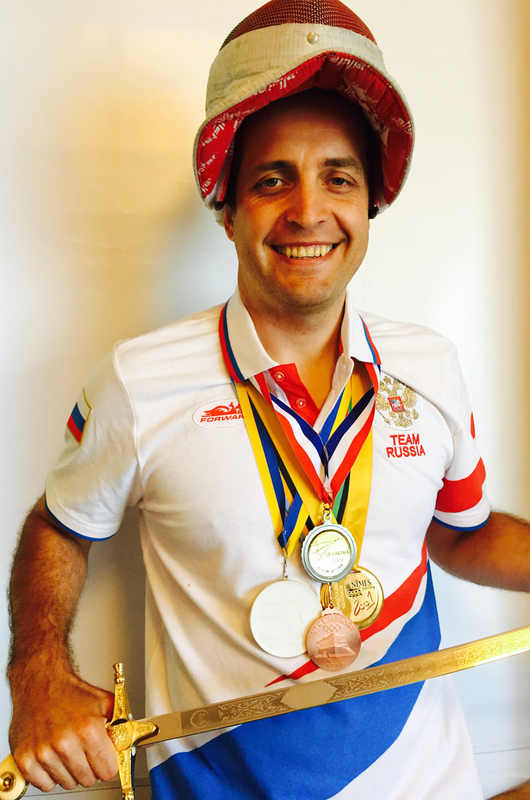 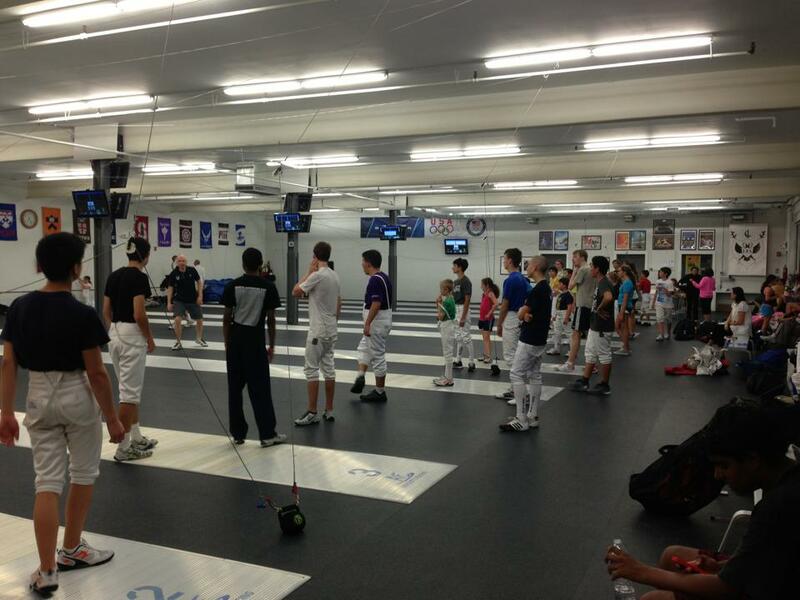 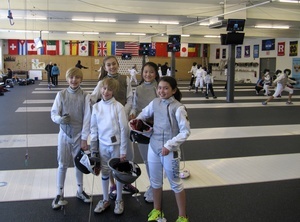 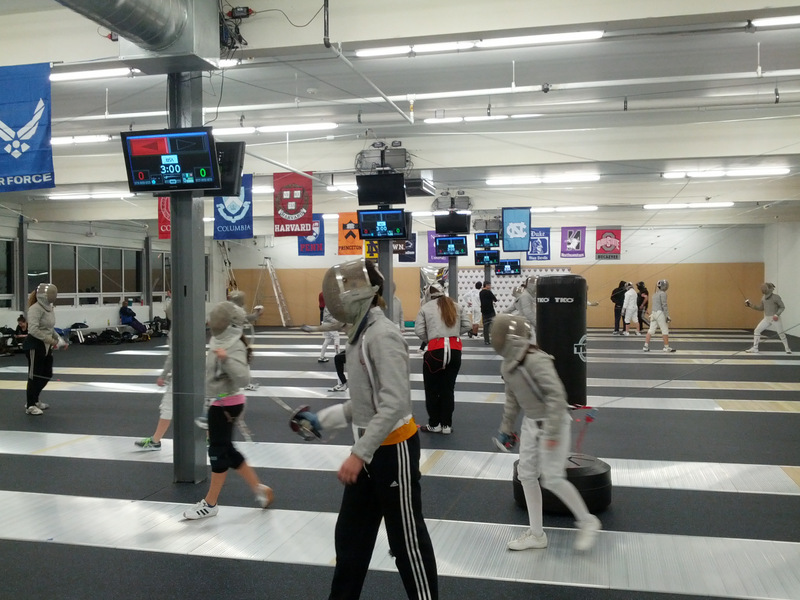 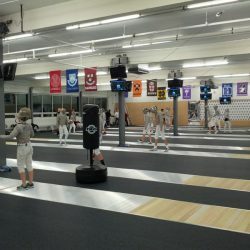 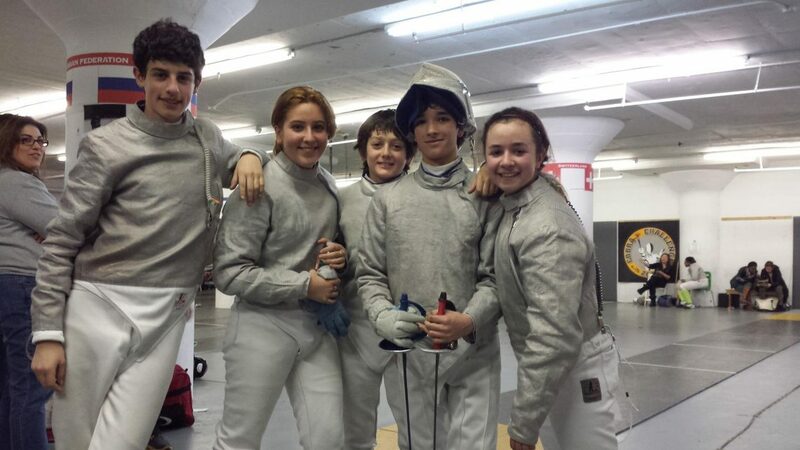 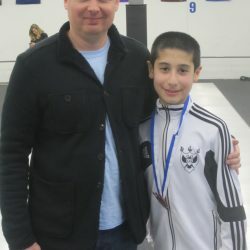 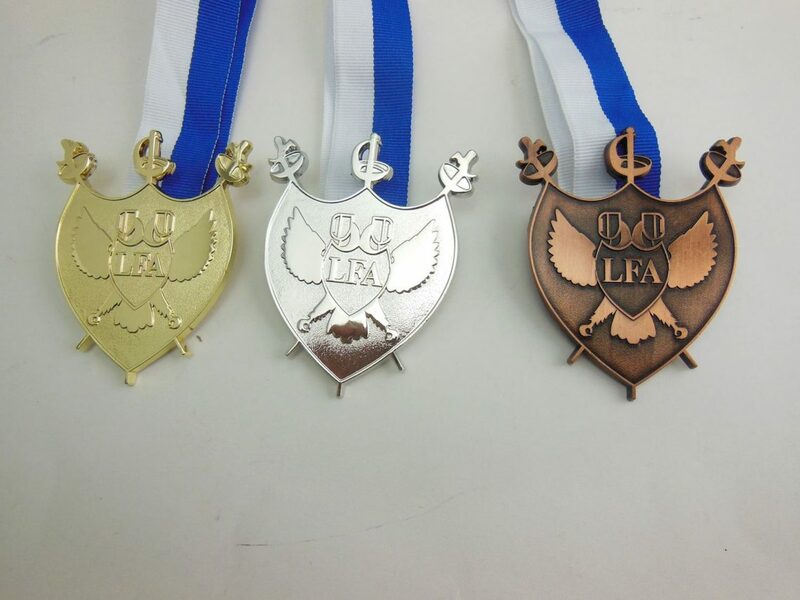 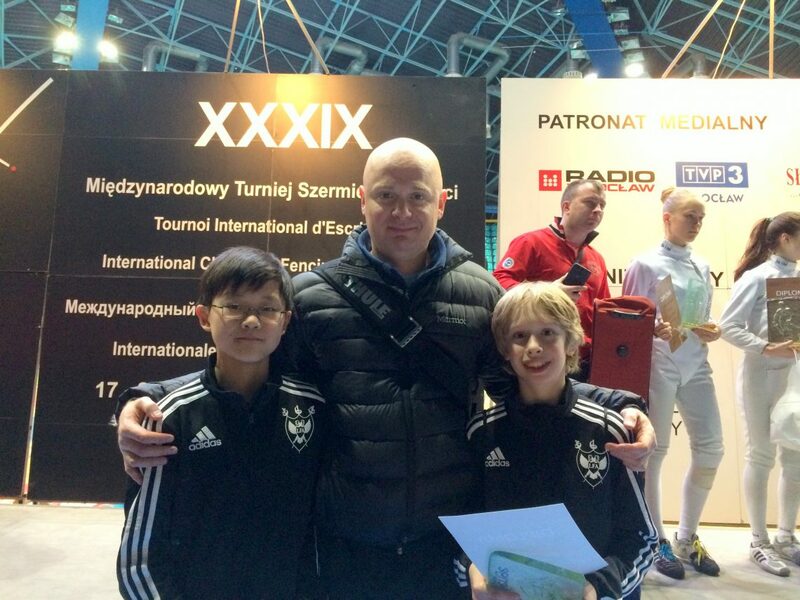 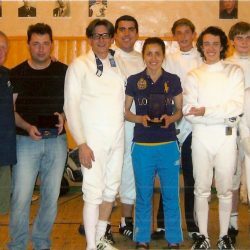 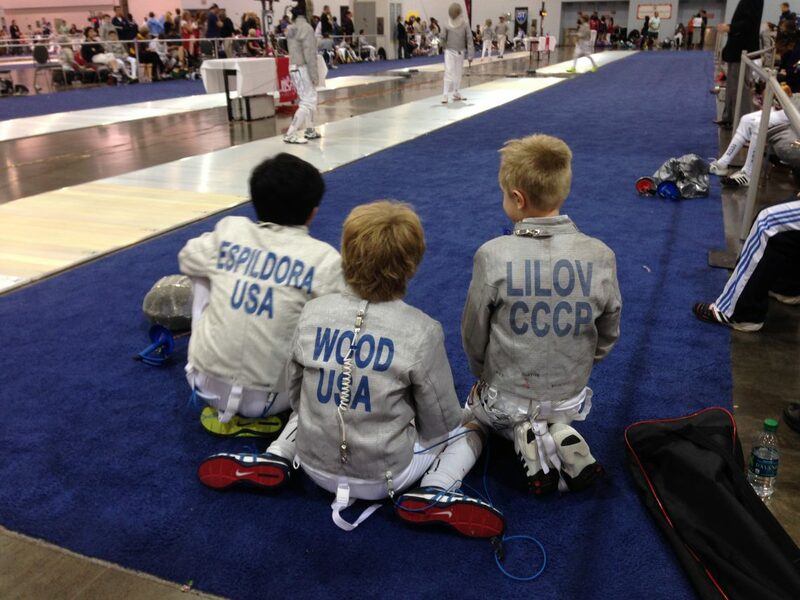 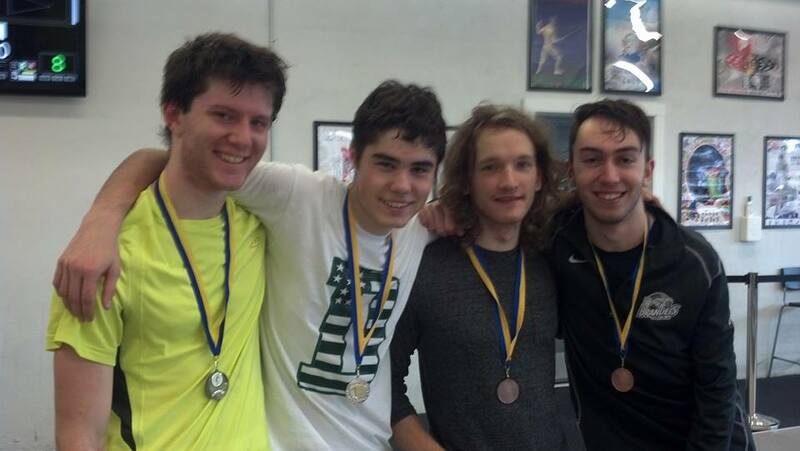 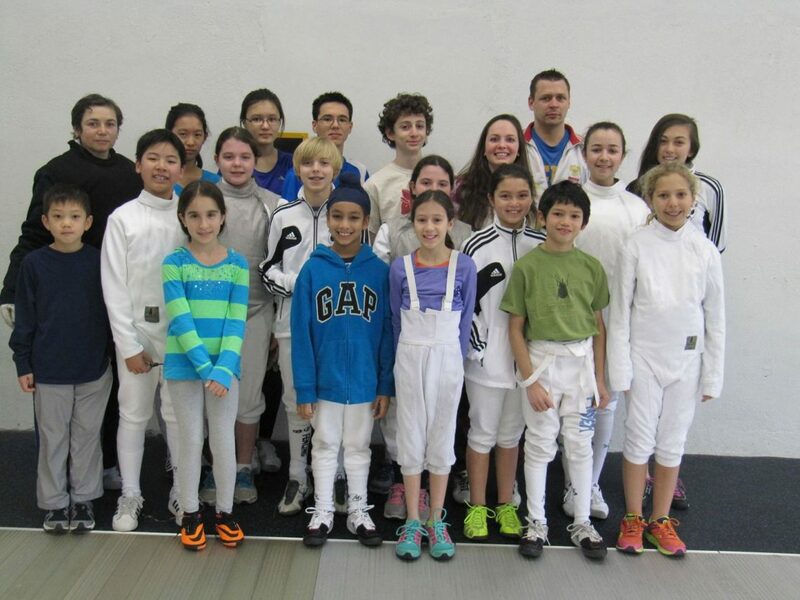 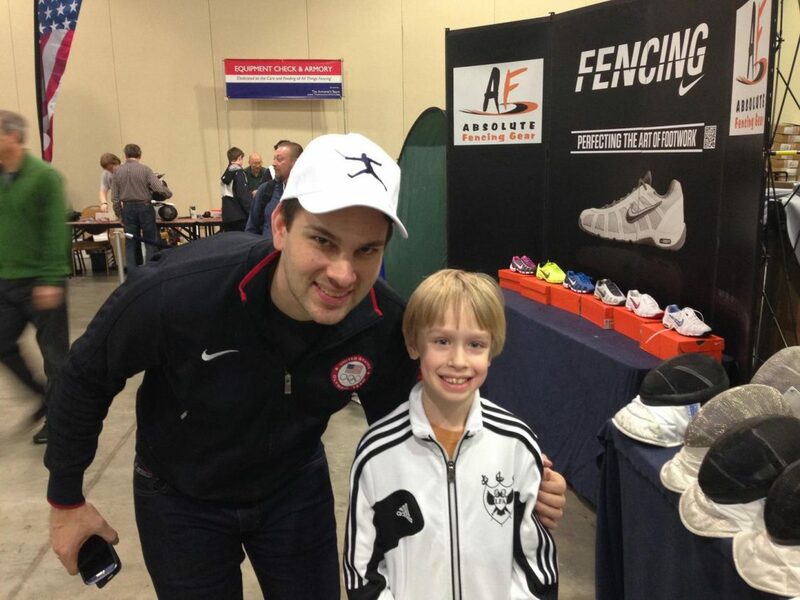 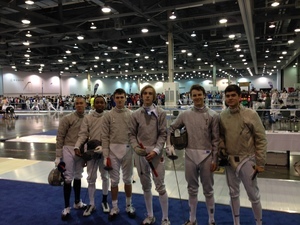 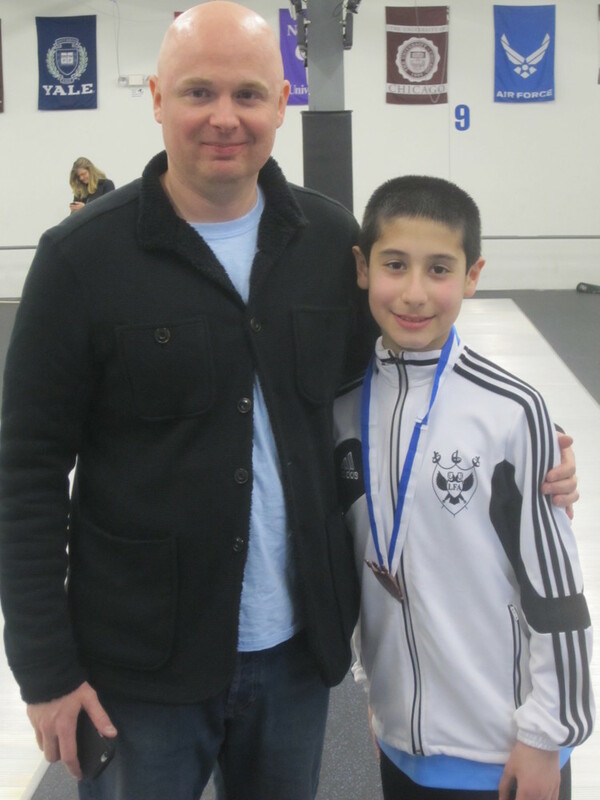 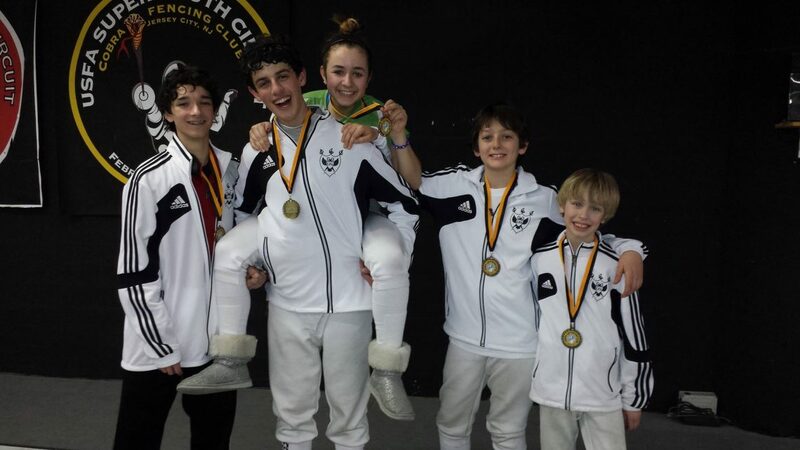 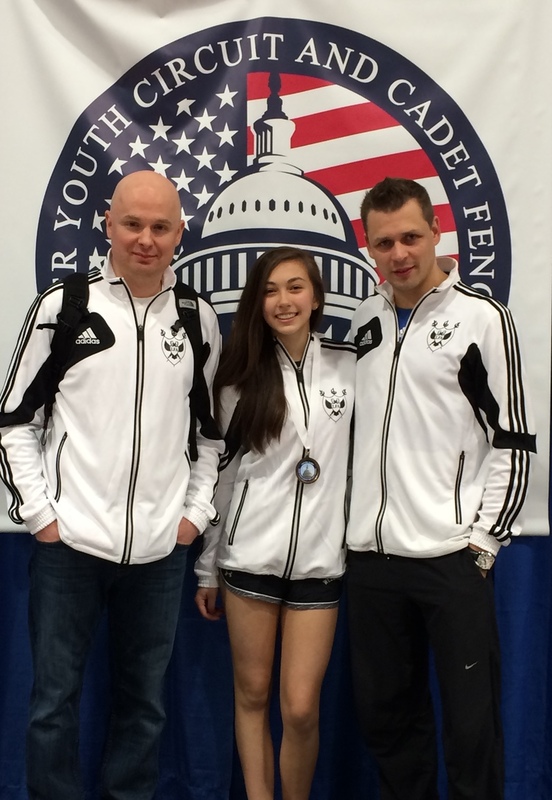 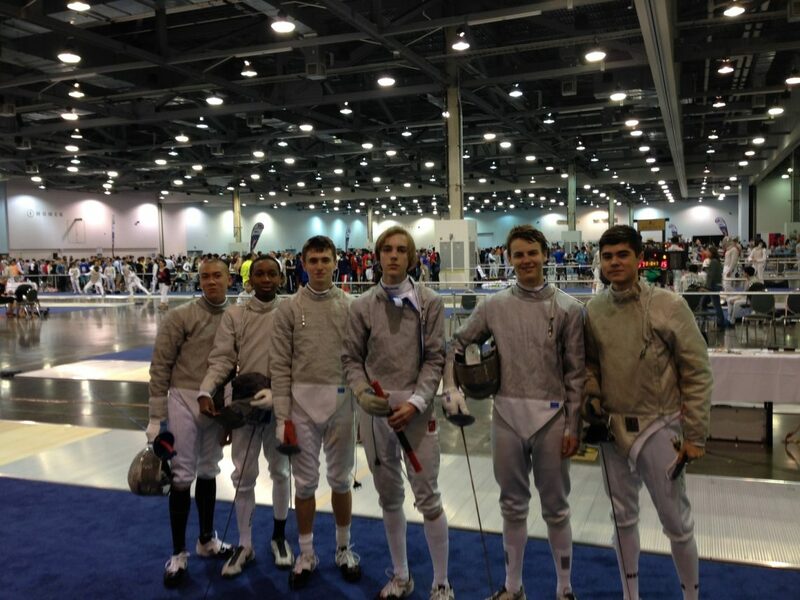 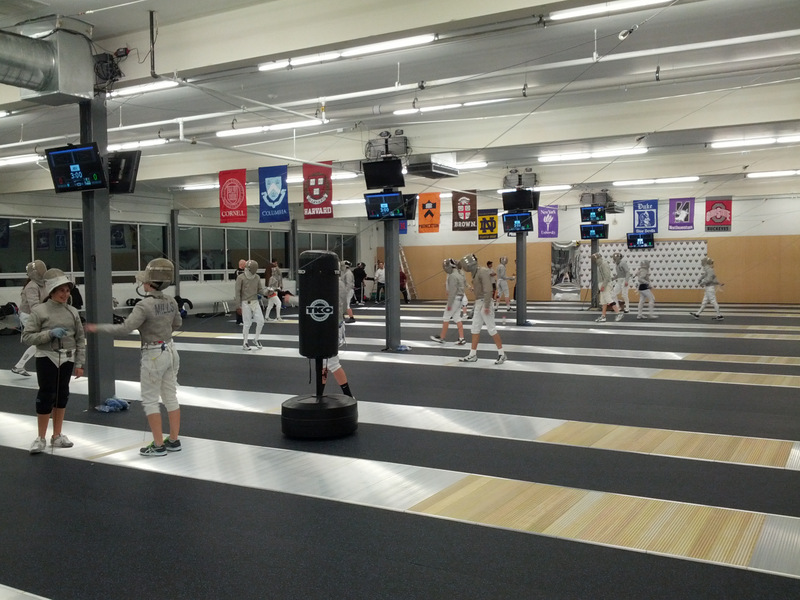 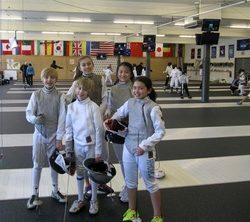 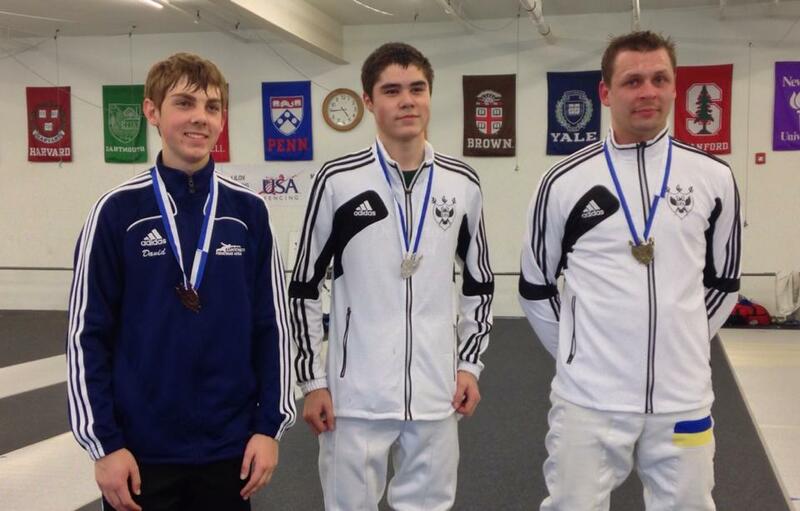 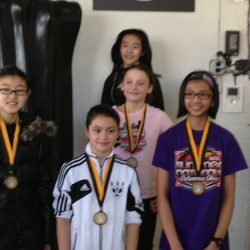 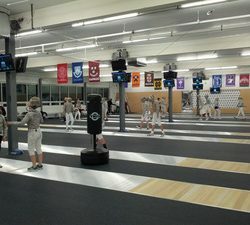 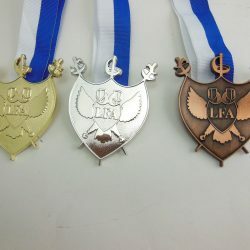 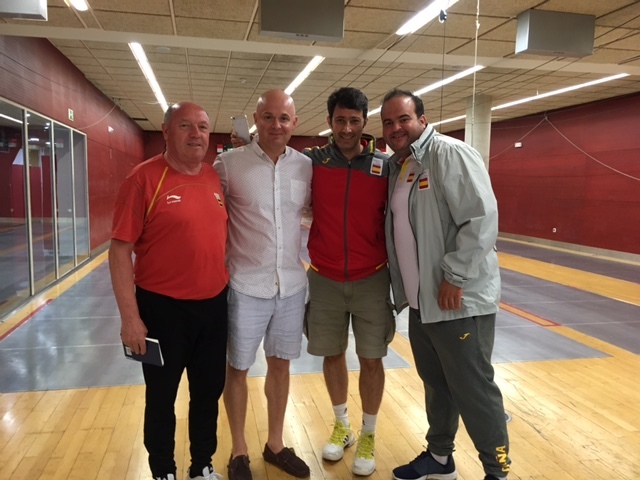 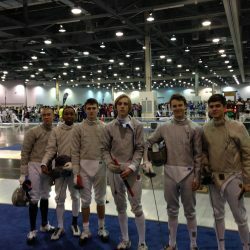 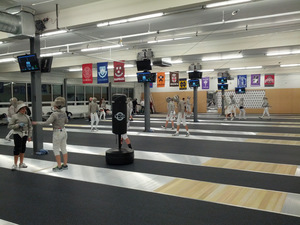 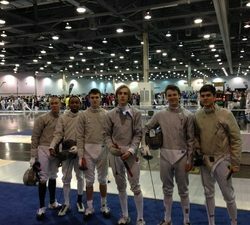 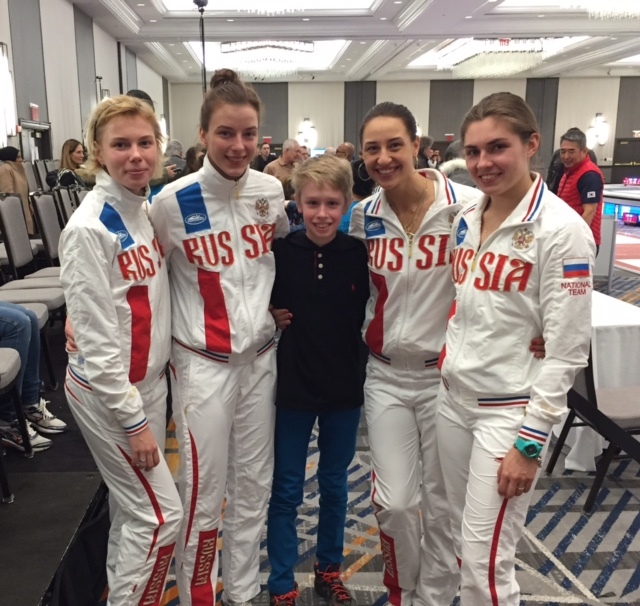 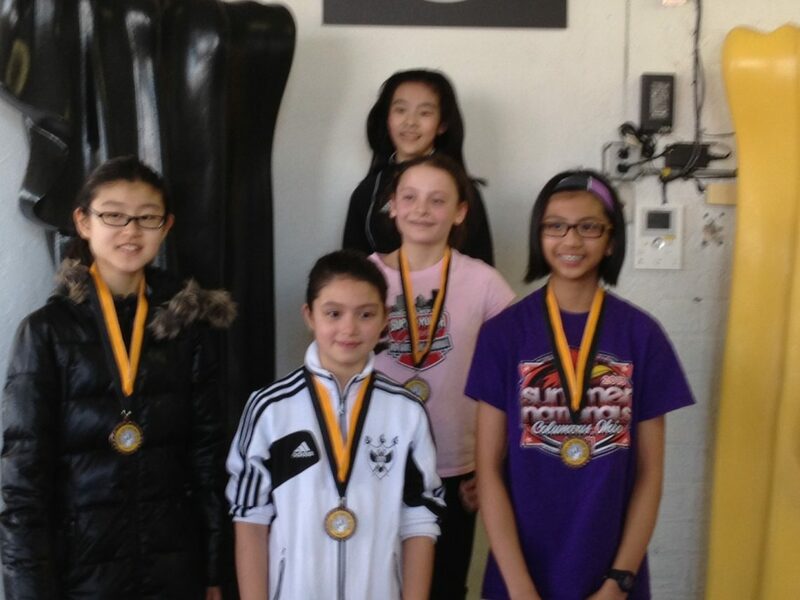 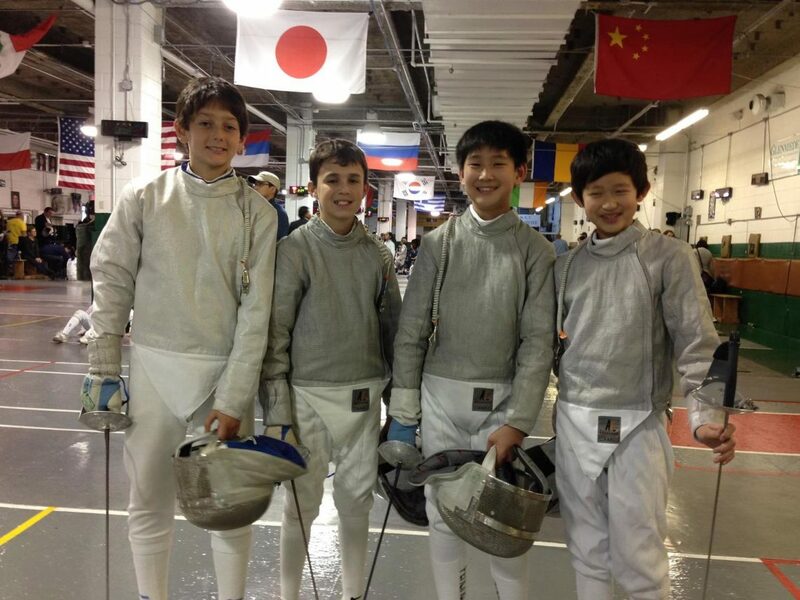 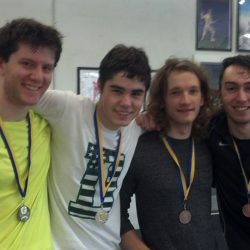 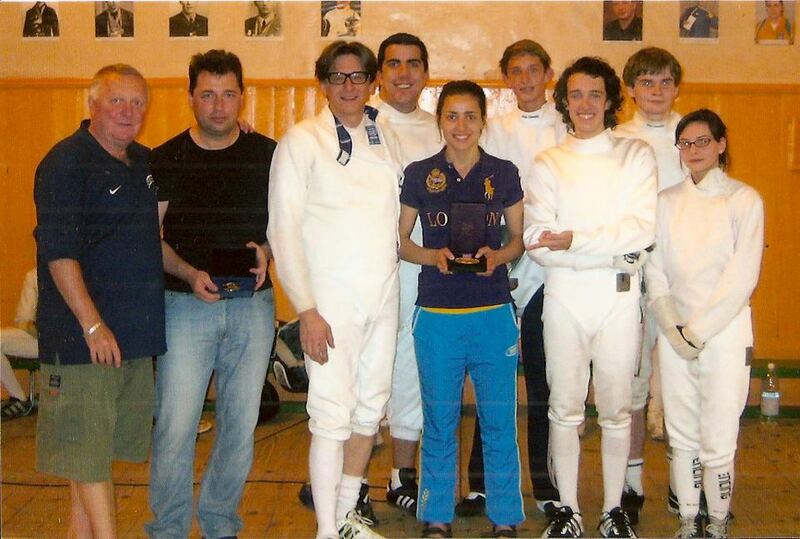 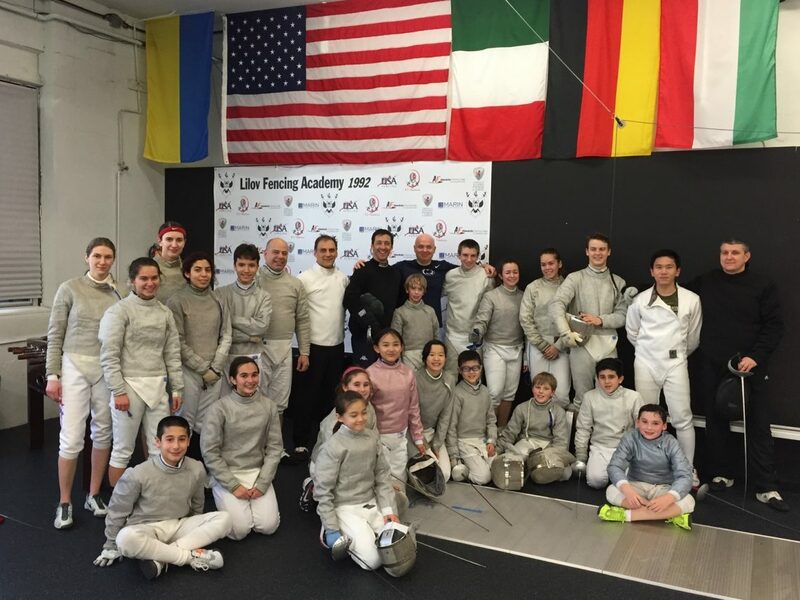 Lilov Fencing Academy is the premier fencing school in New Jersey. 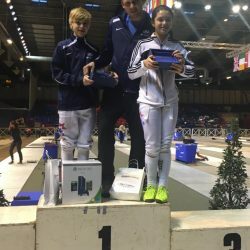 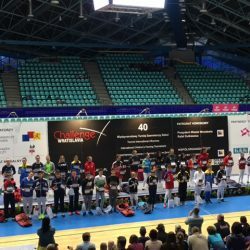 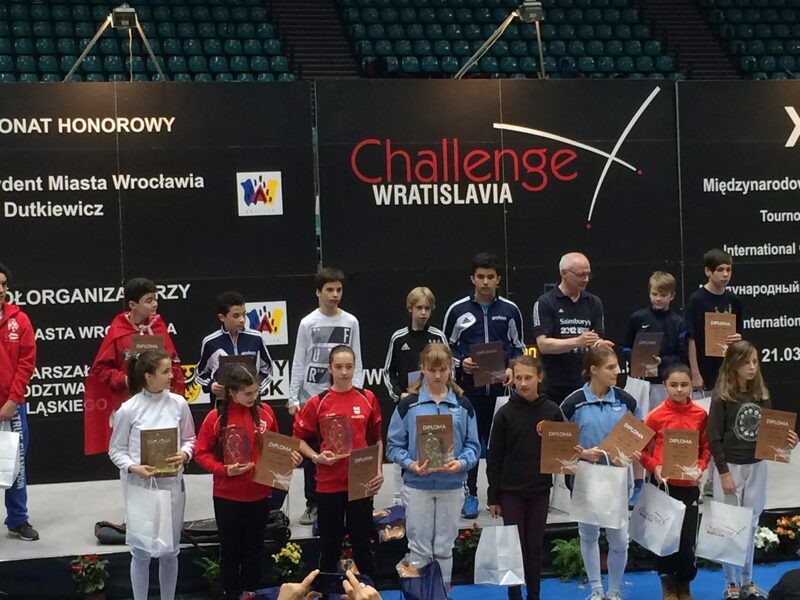 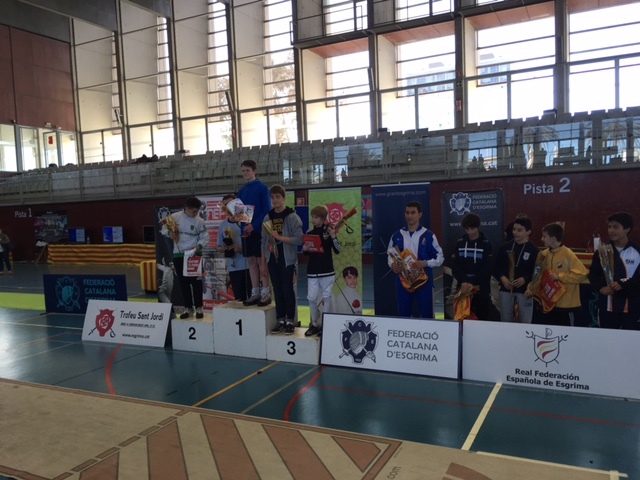 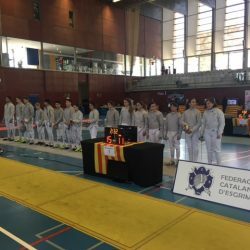 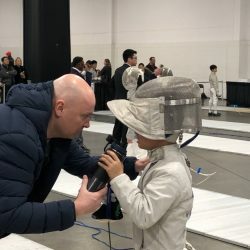 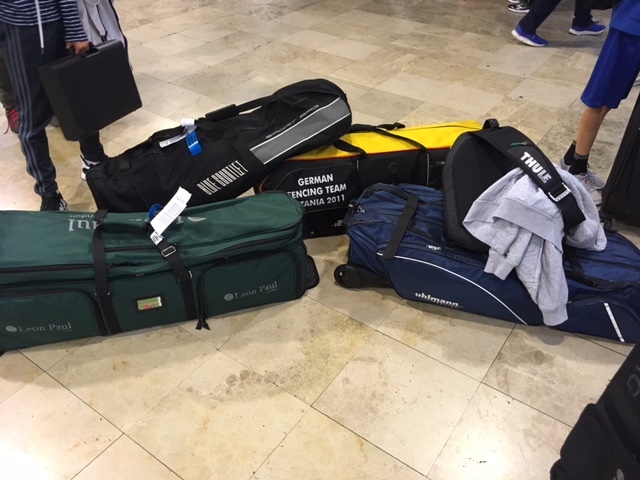 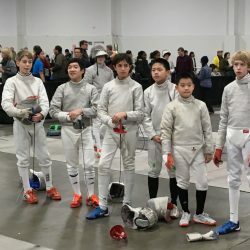 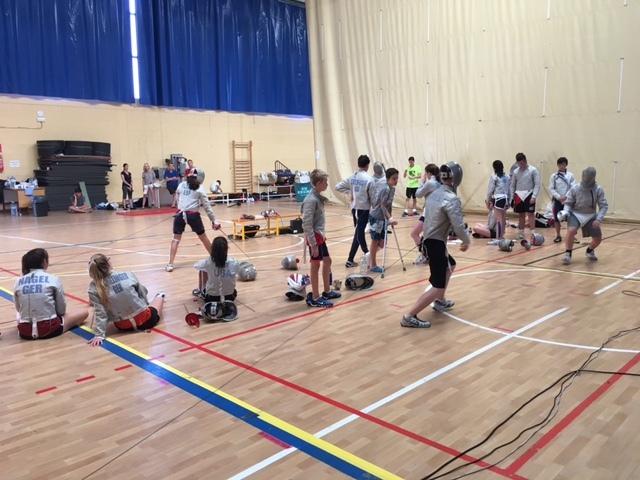 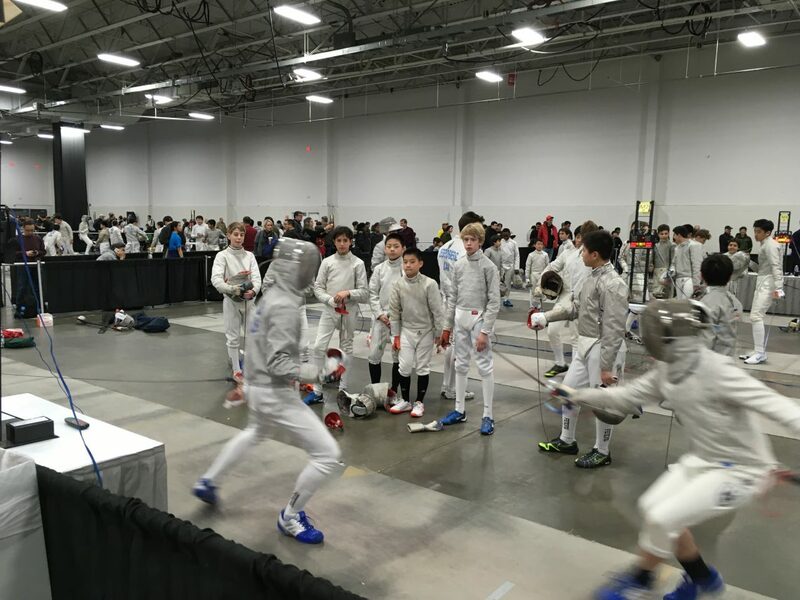 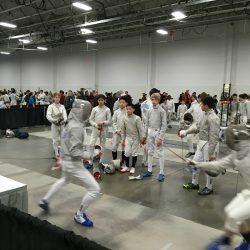 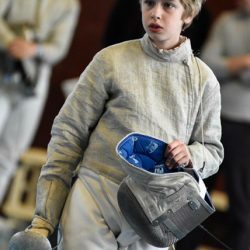 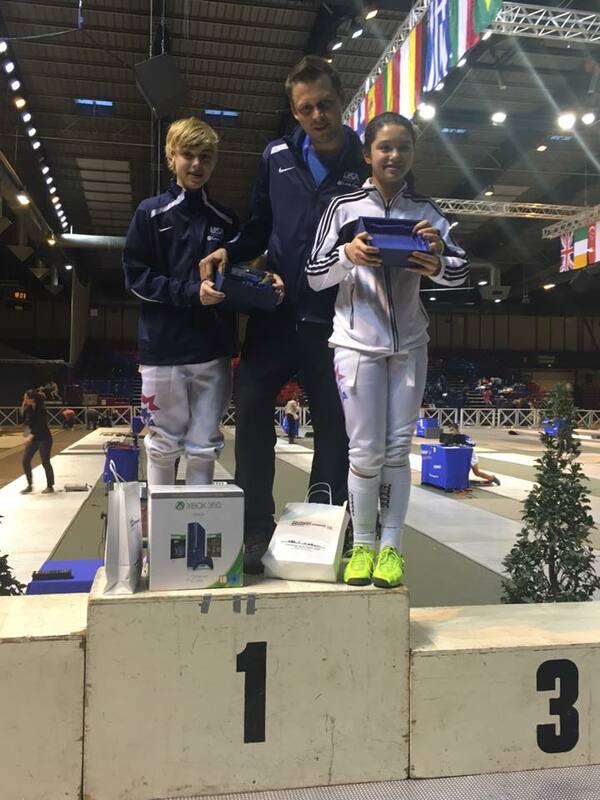 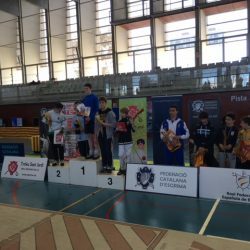 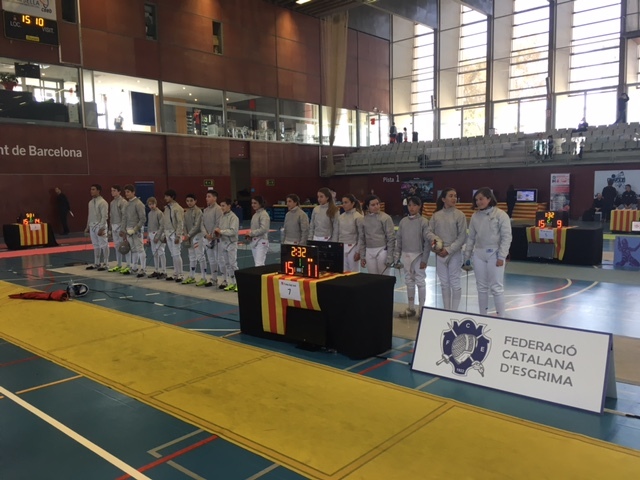 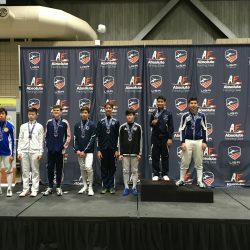 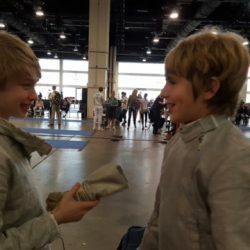 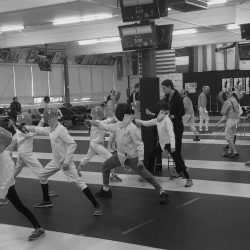 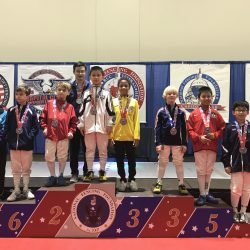 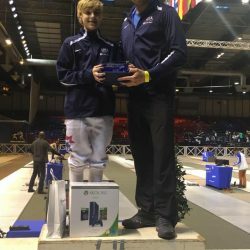 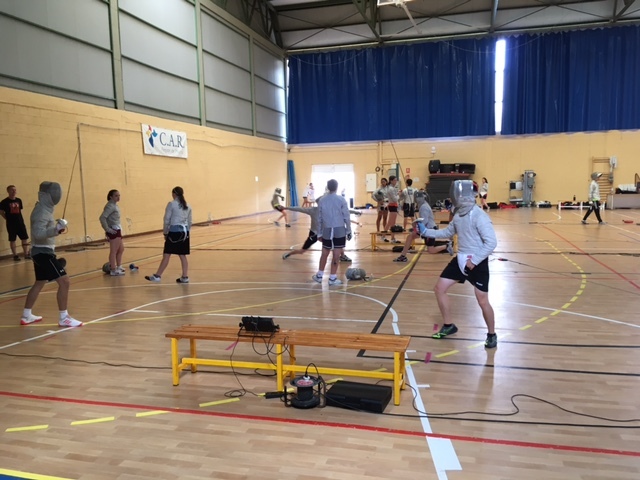 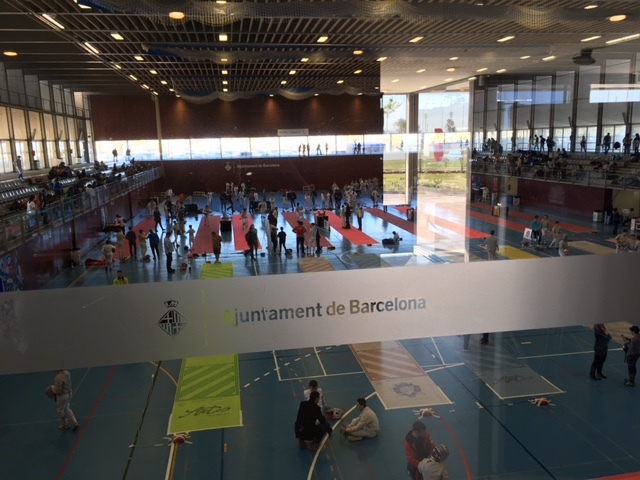 Not only do we teach children the exciting sport of fencing, we also help prepare them for fencing competitions and get them ready for college fencing. 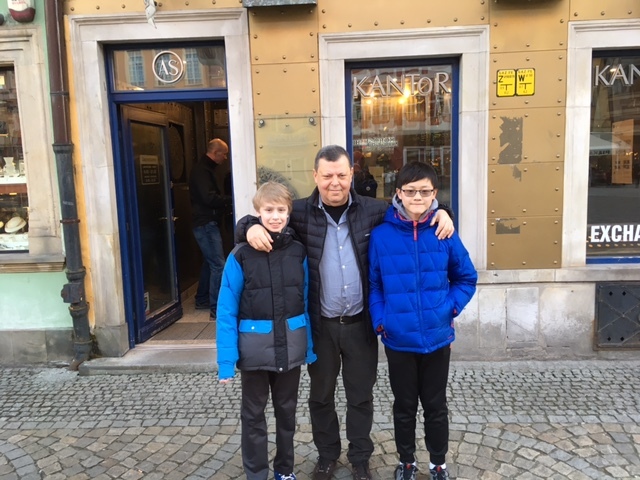 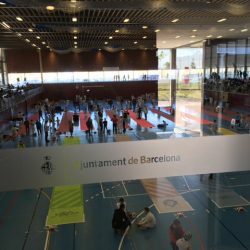 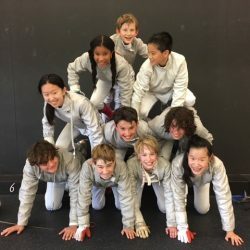 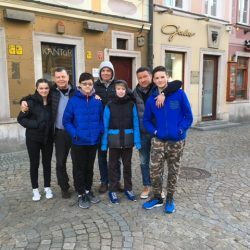 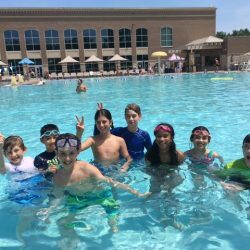 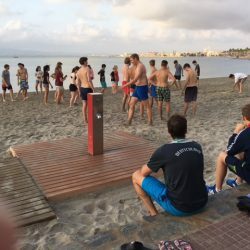 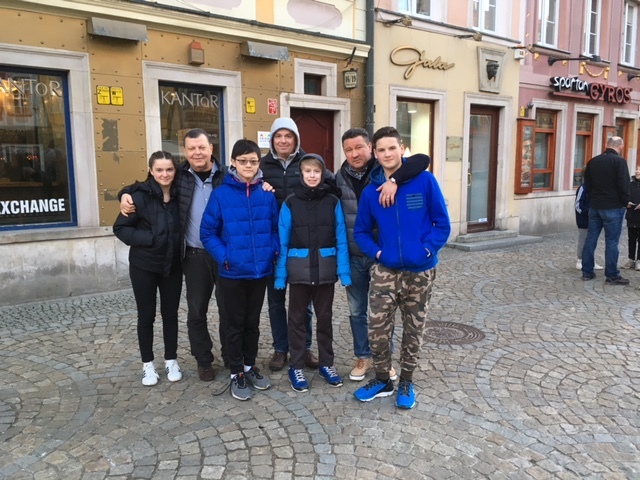 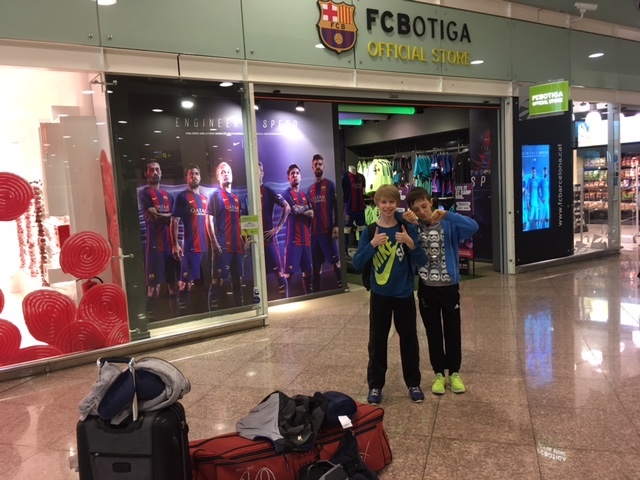 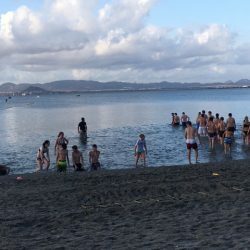 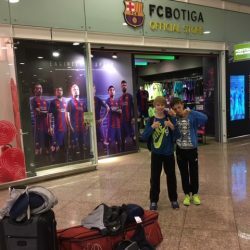 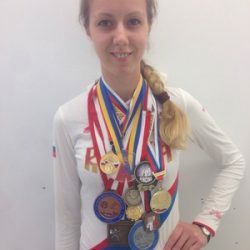 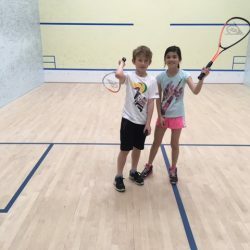 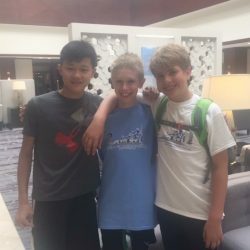 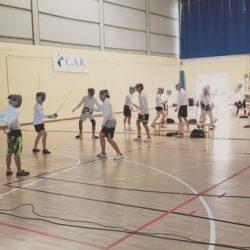 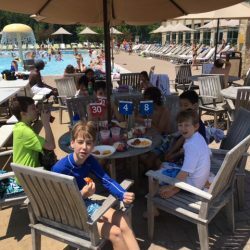 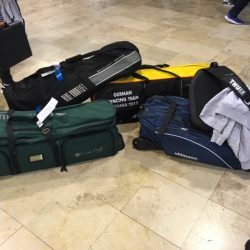 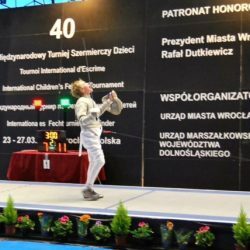 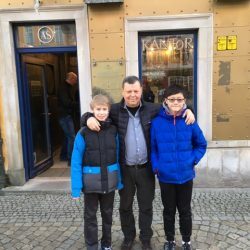 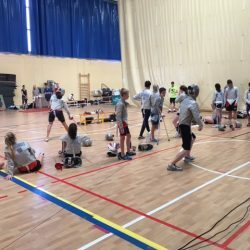 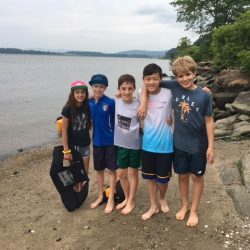 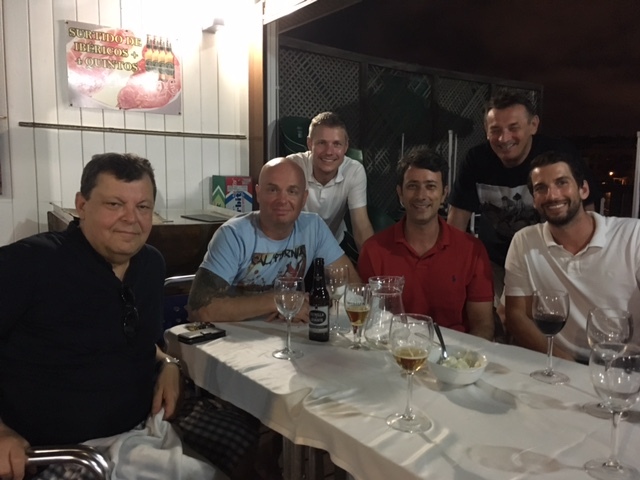 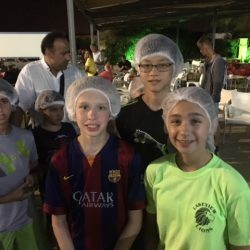 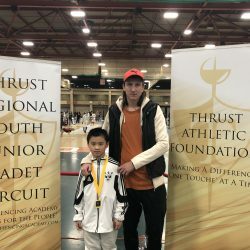 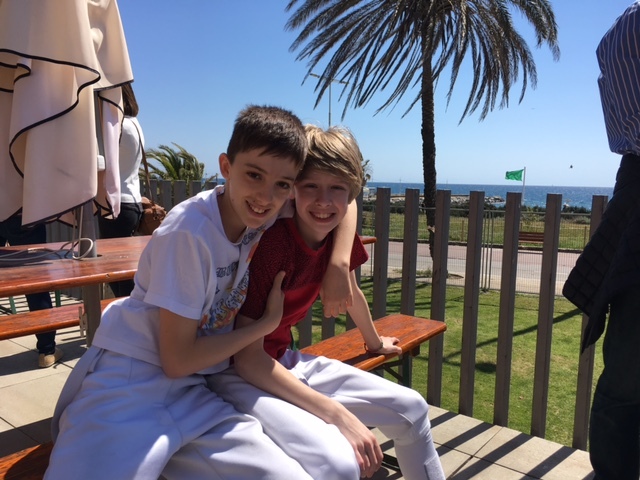 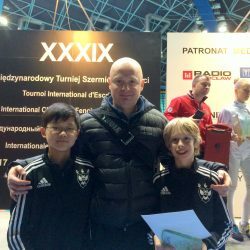 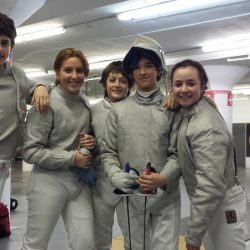 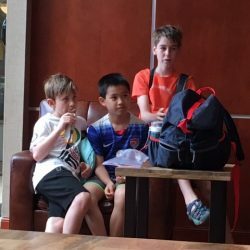 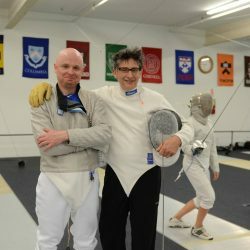 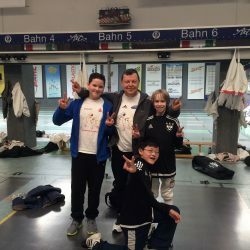 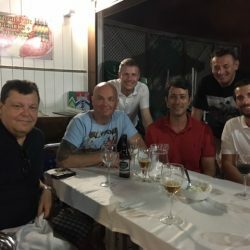 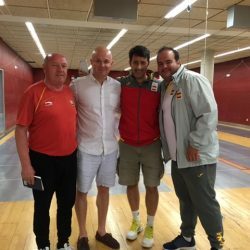 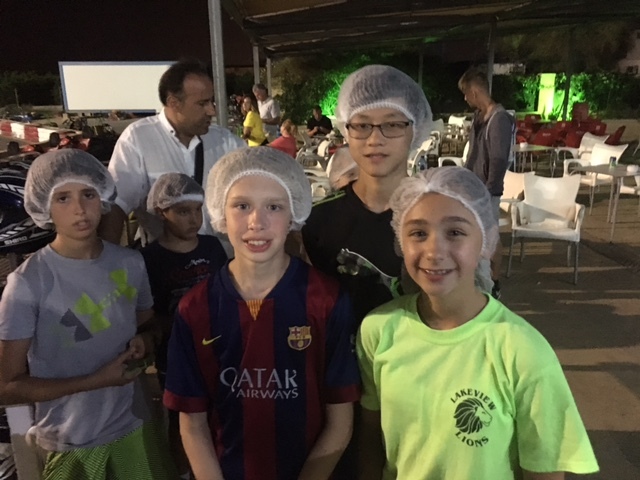 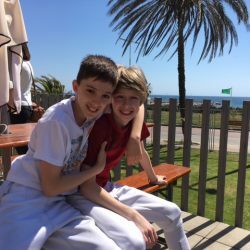 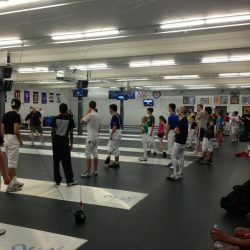 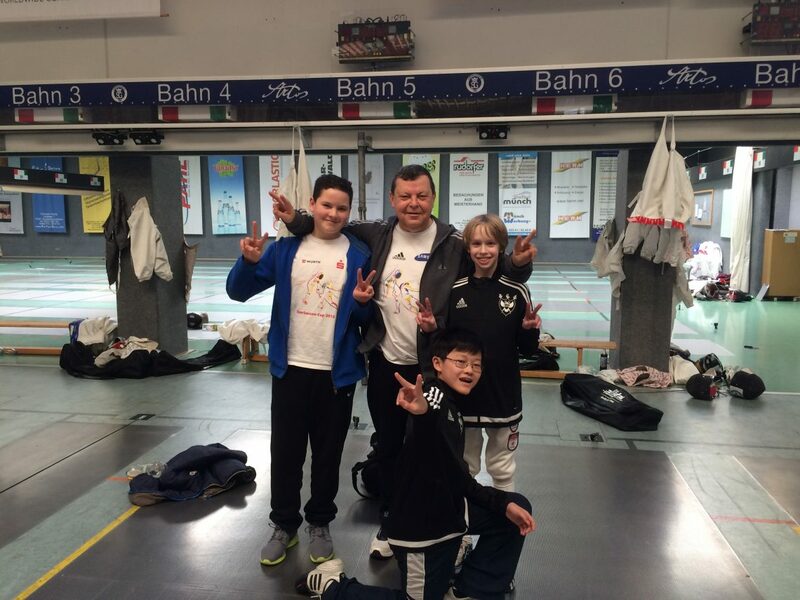 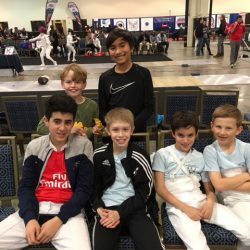 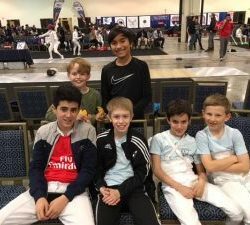 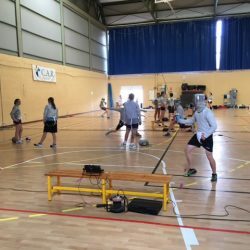 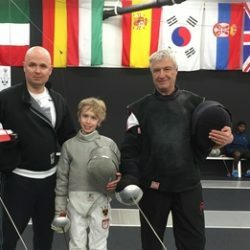 On this page, we have pictures of some of our happy, hard-working students during fencing lessons and fencing classes, as well as photos of our fencing school. 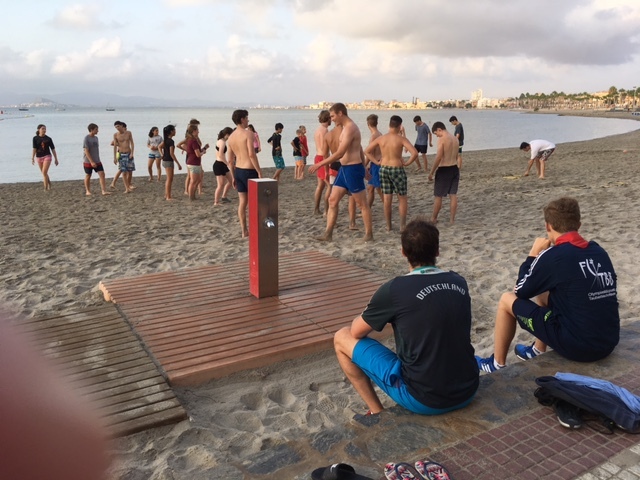 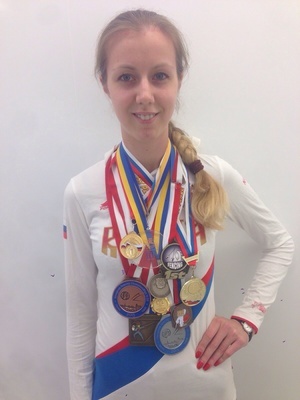 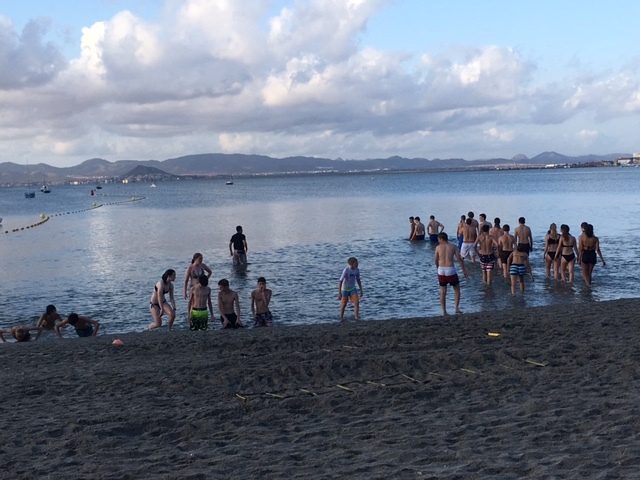 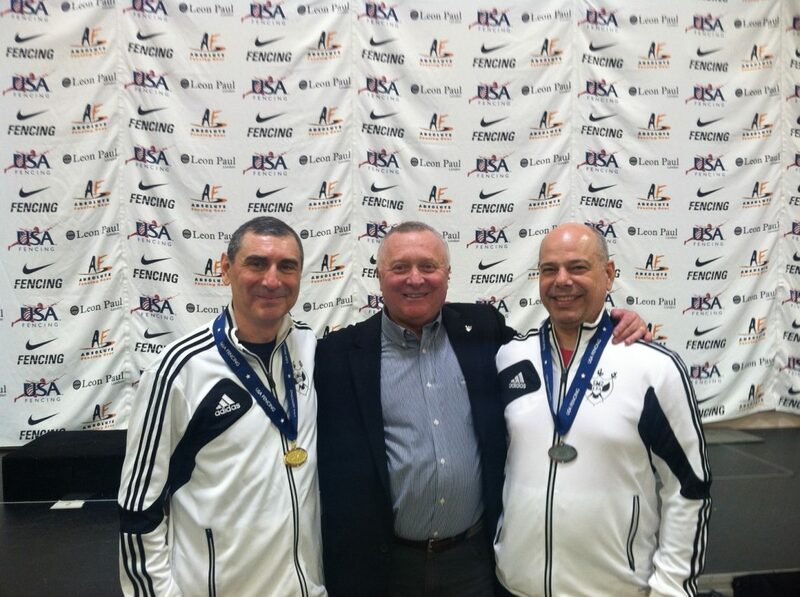 Our instructors are some of the best in the world, and many of them have been national and Olympic team members. 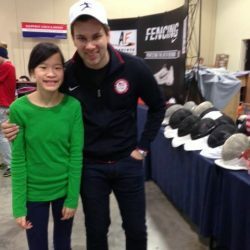 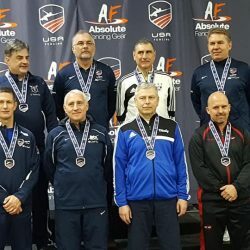 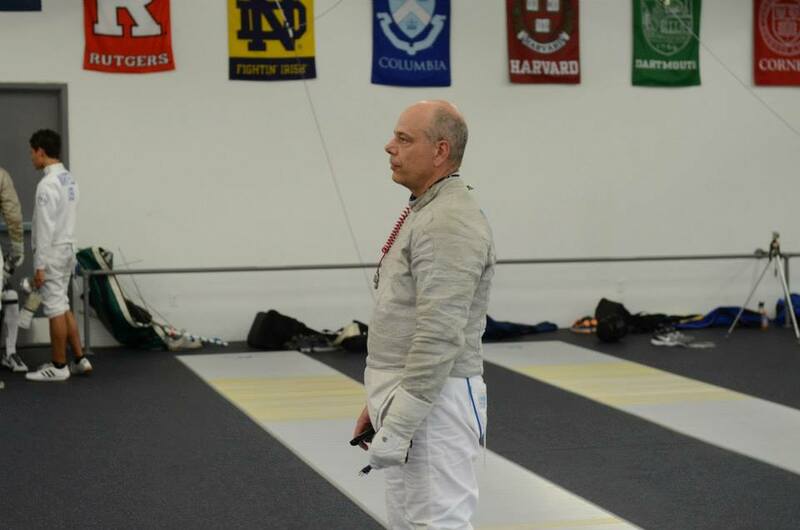 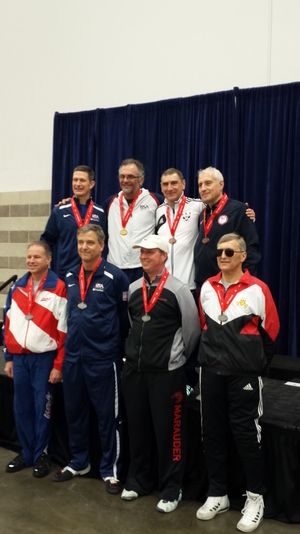 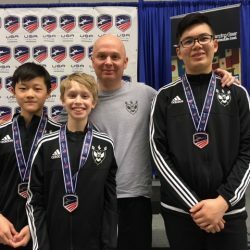 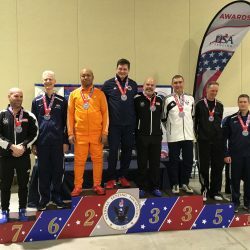 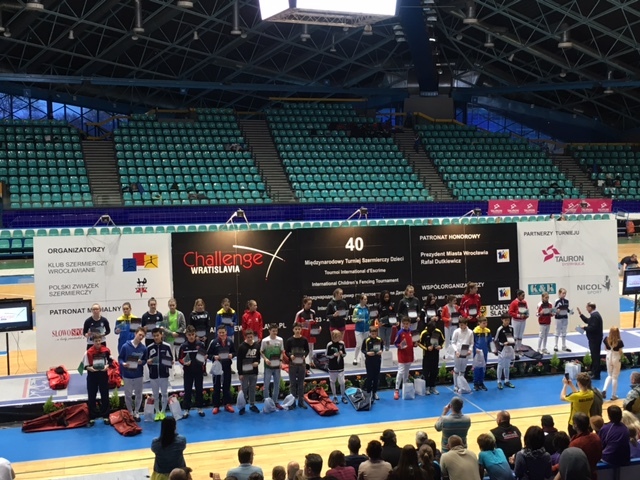 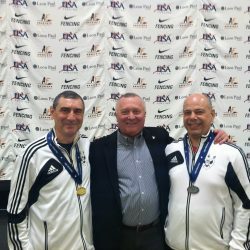 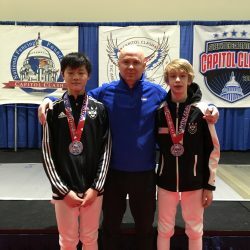 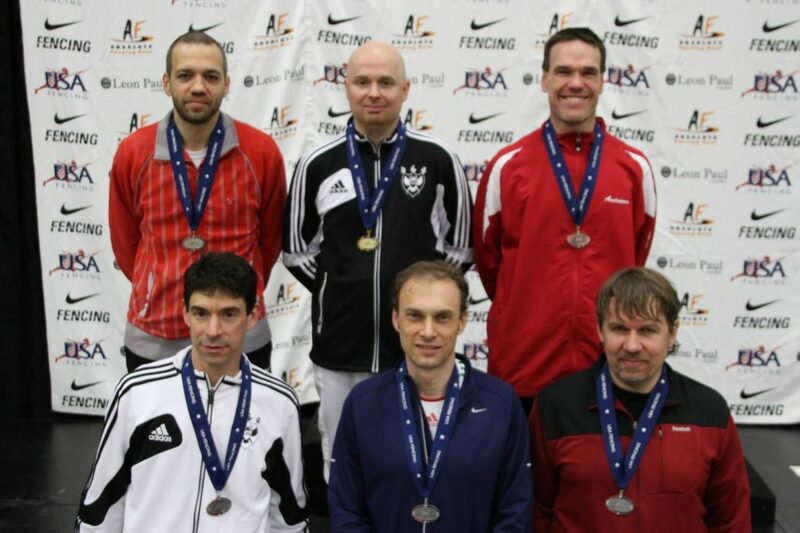 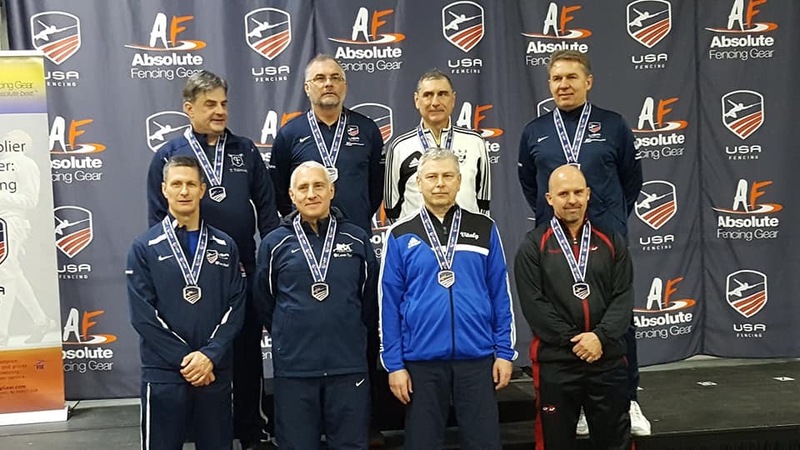 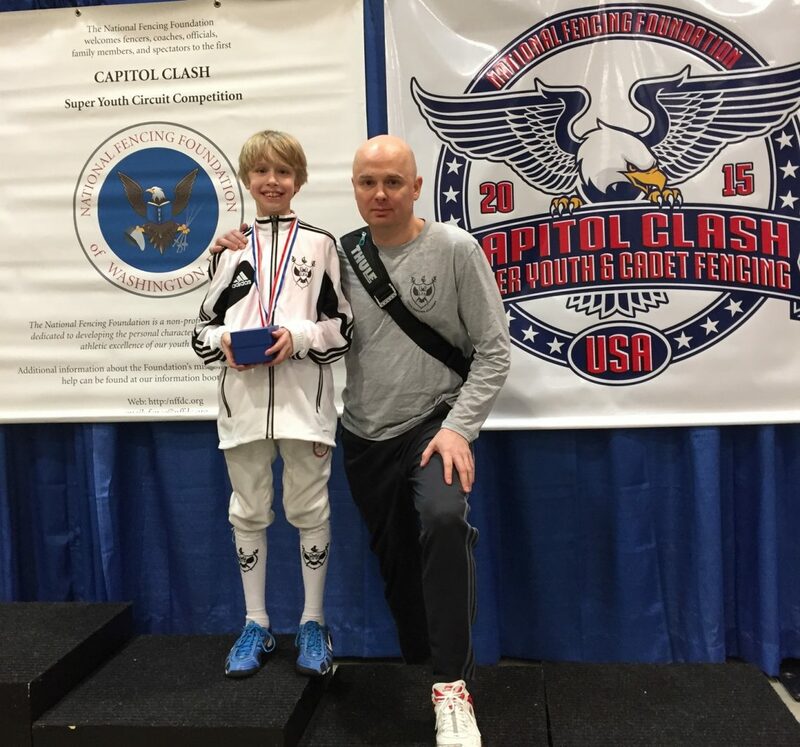 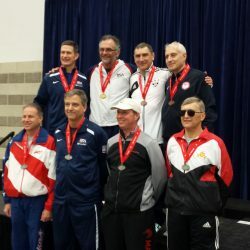 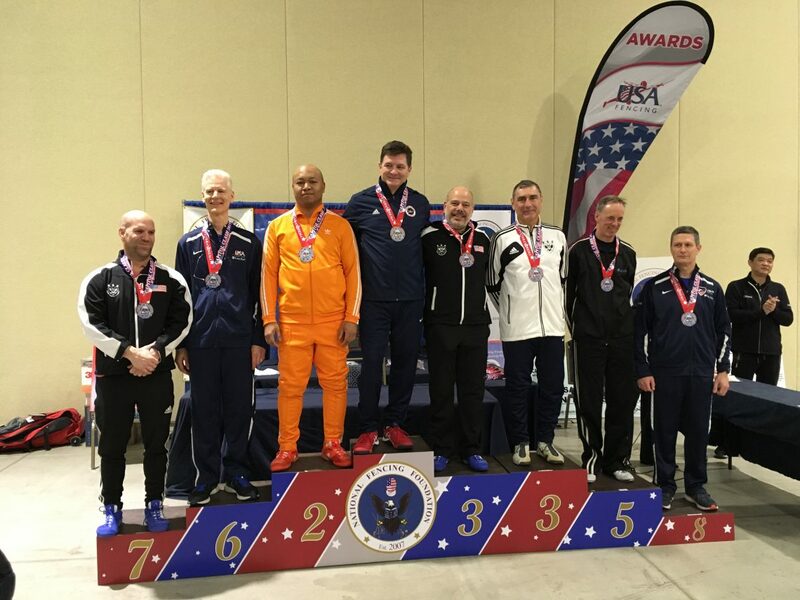 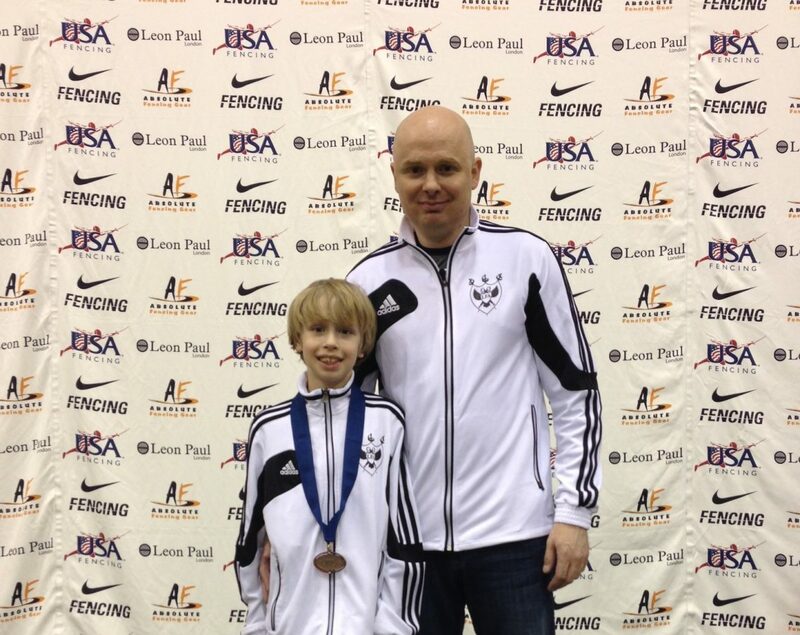 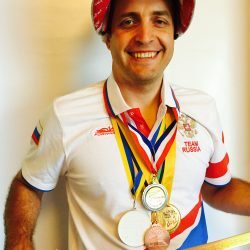 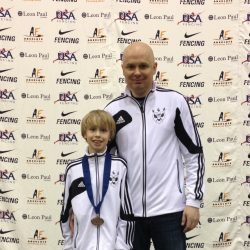 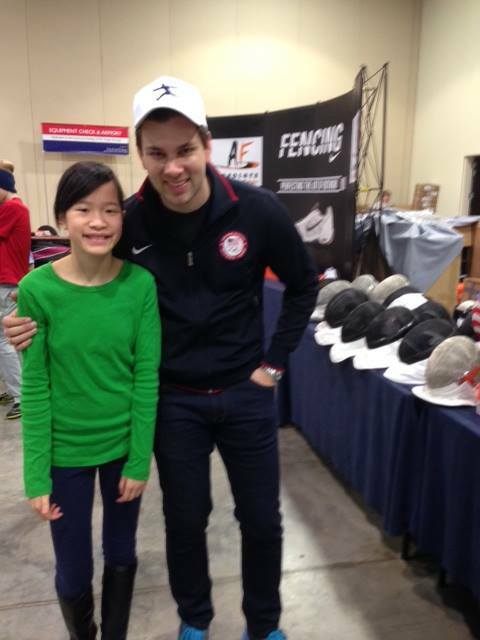 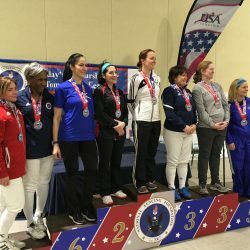 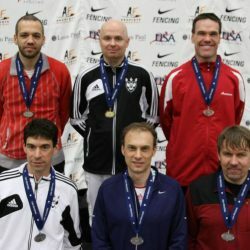 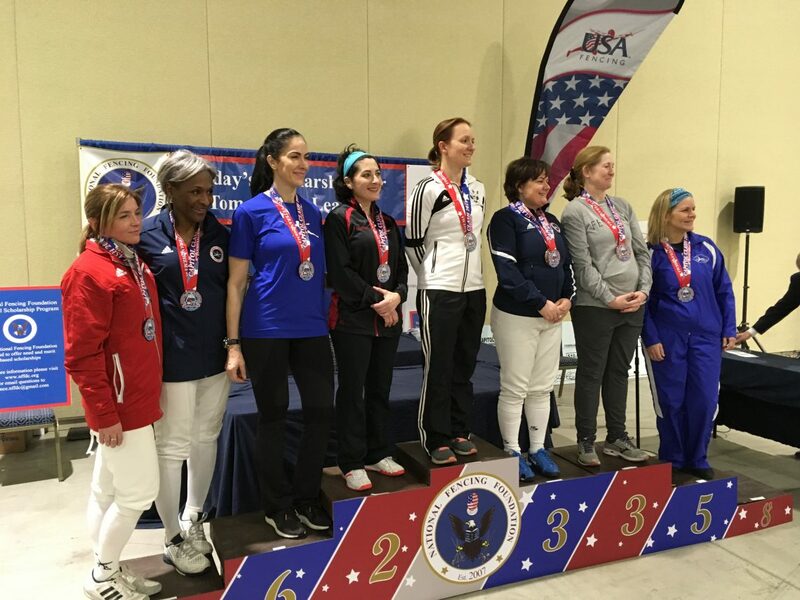 Others have won national fencing honors as teachers and coaches. 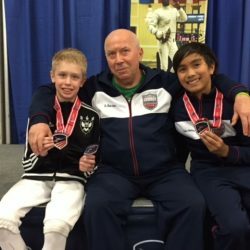 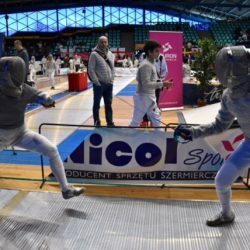 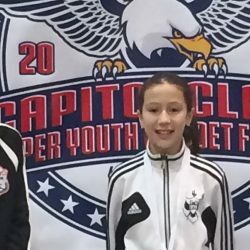 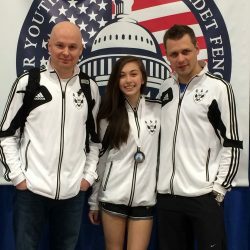 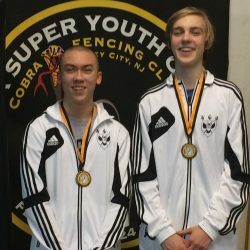 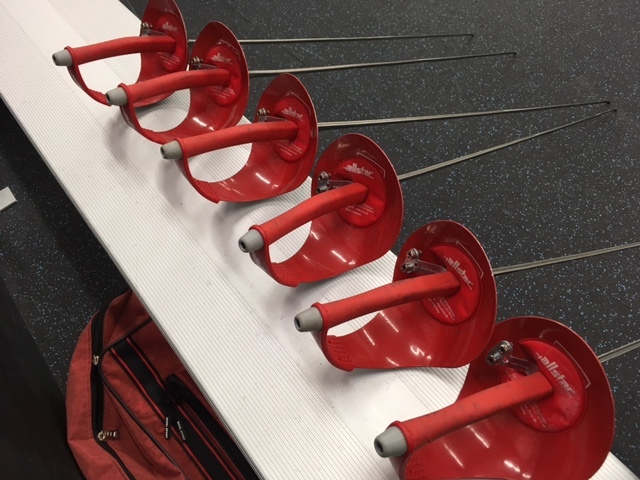 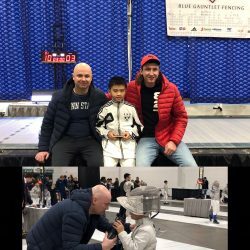 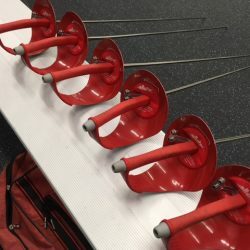 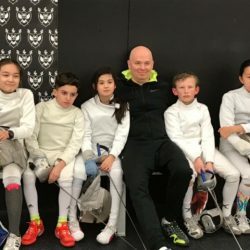 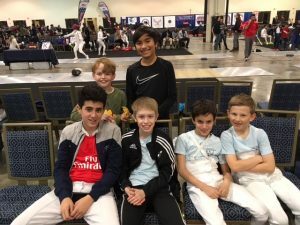 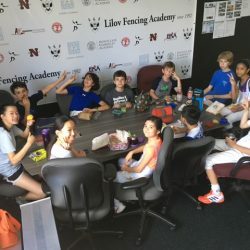 They each bring something special to our fencing school and they use their expertise to teach children how to fence in a safe, state of the art facility. 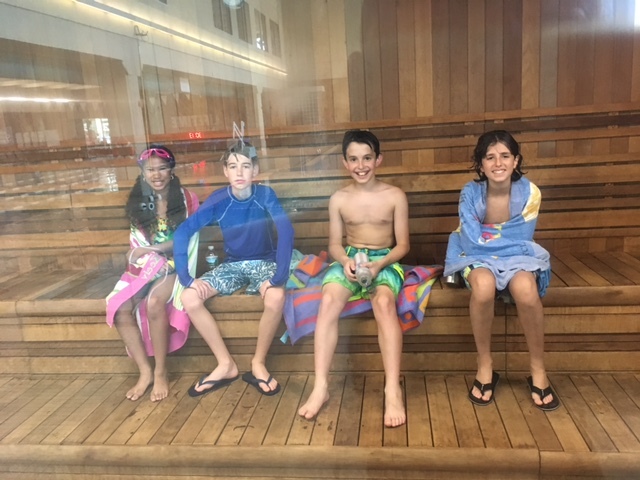 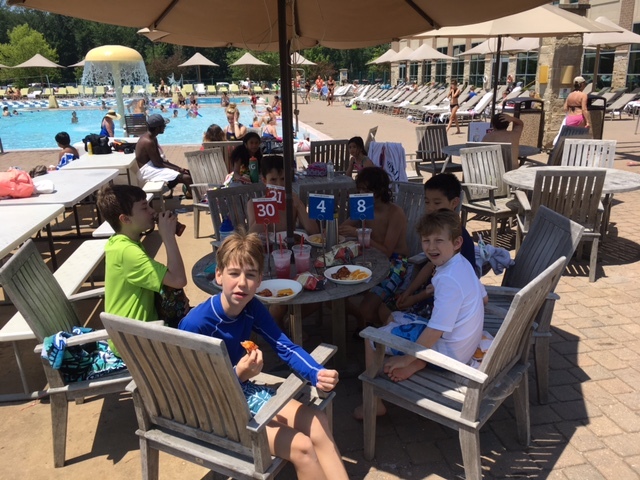 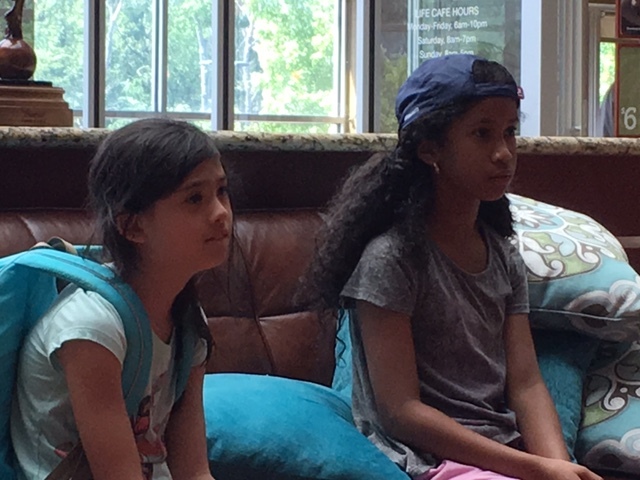 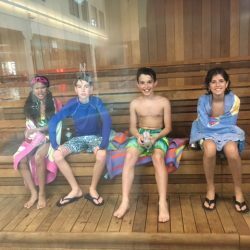 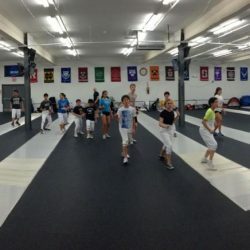 We offer classes for students under ten all the way up to 18+ years. 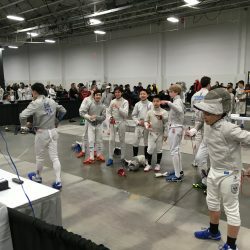 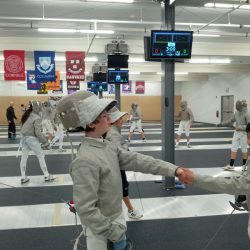 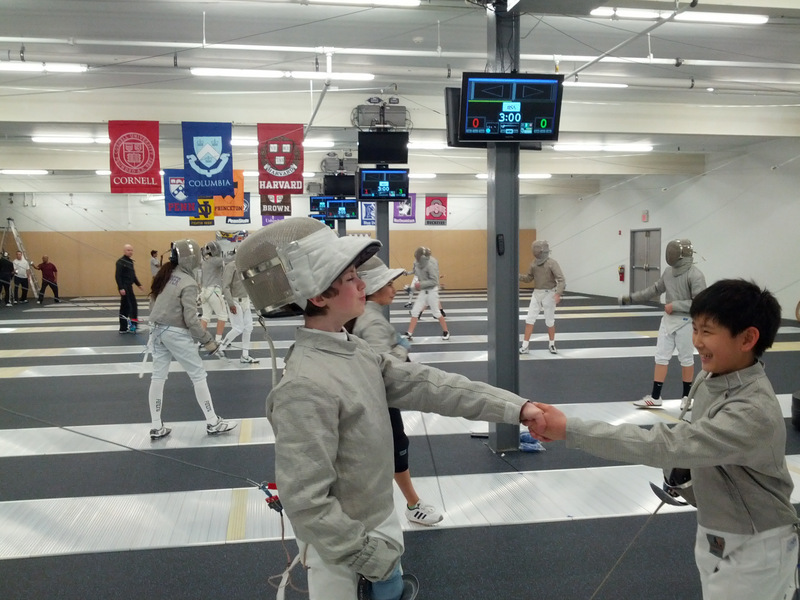 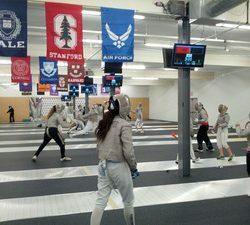 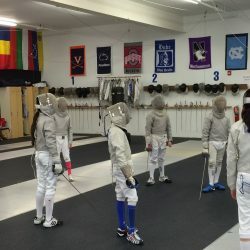 If your child wants to stand out among a sea of Ivy League applicants, fencing might be a way for them to offer these schools even more proof of their value. 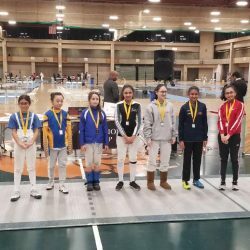 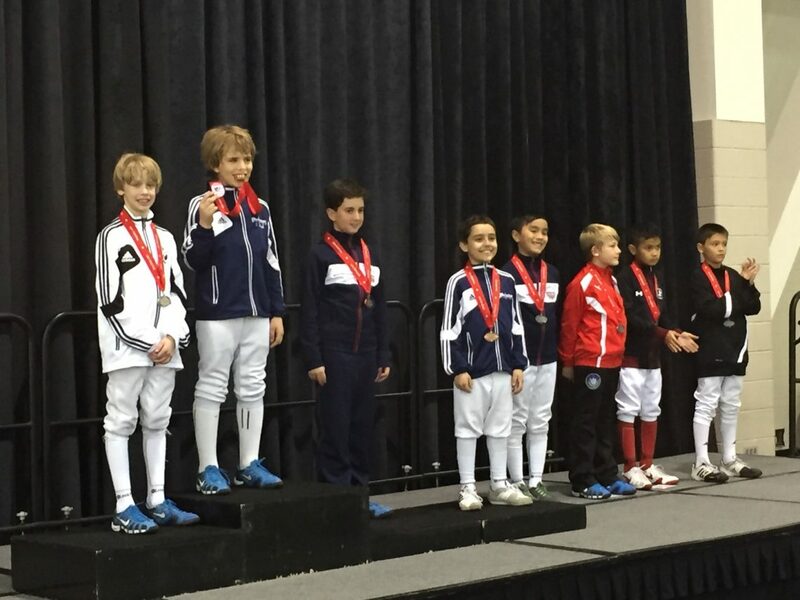 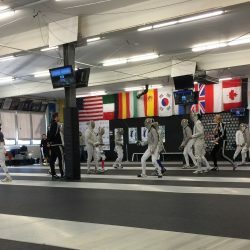 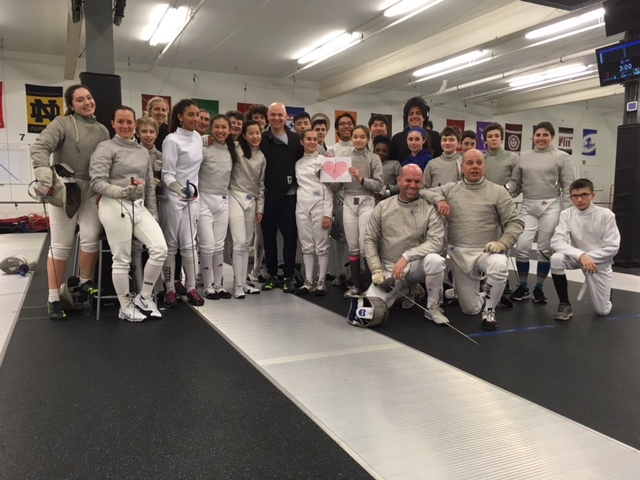 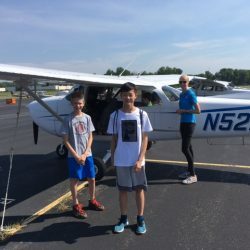 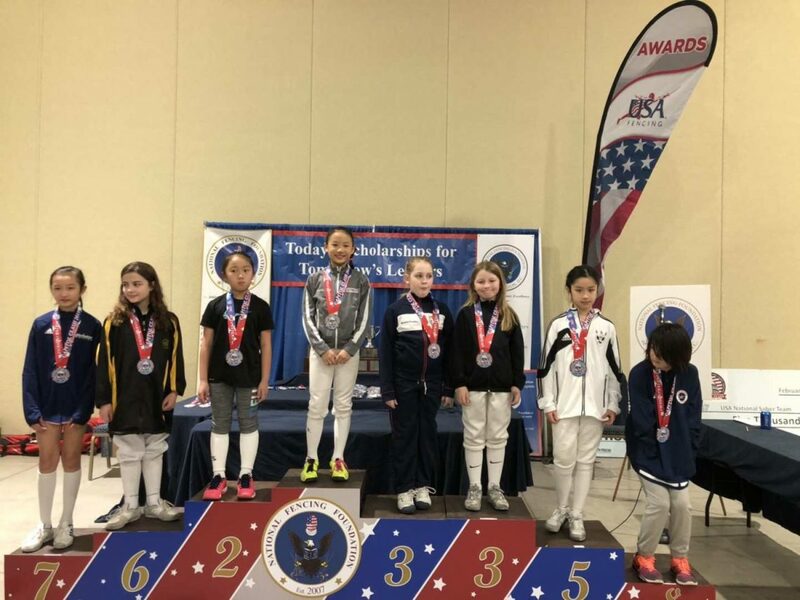 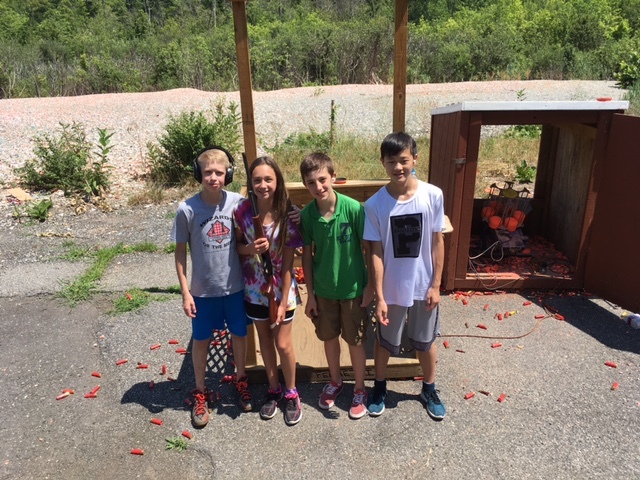 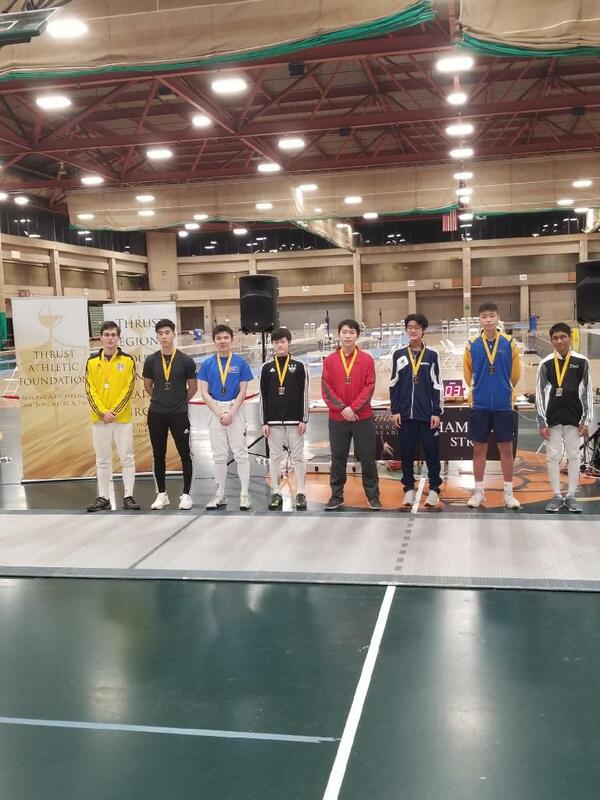 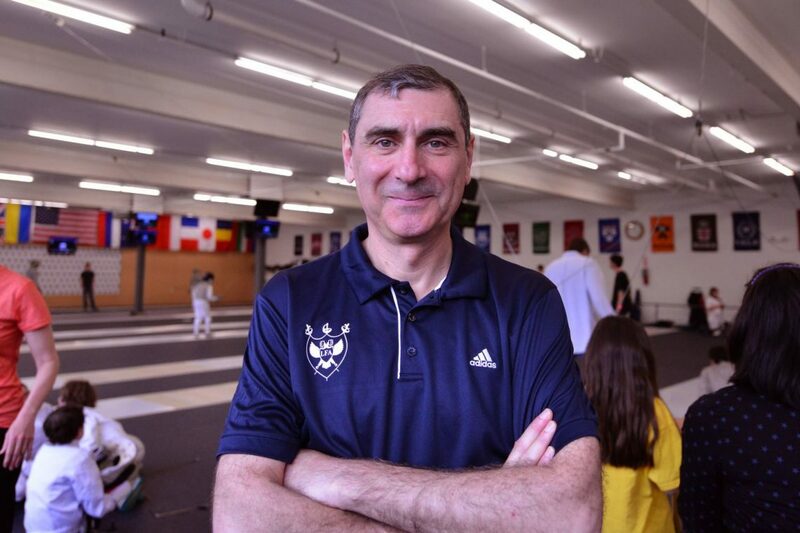 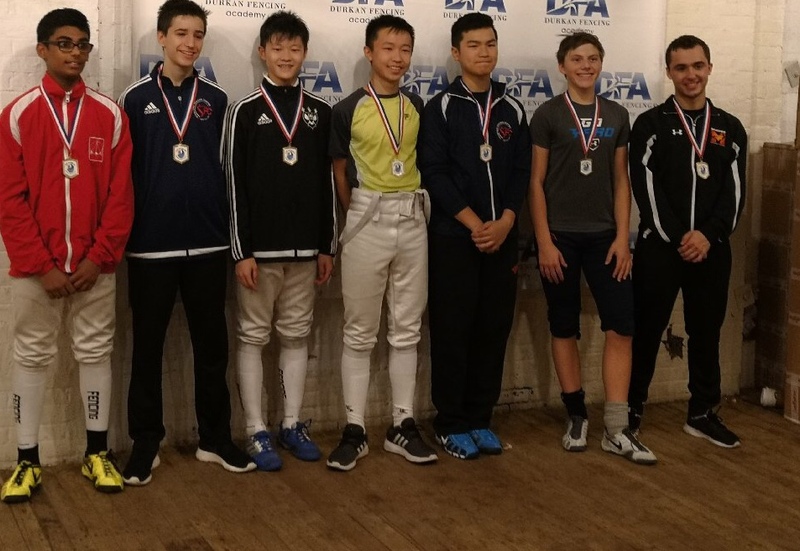 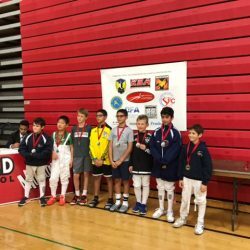 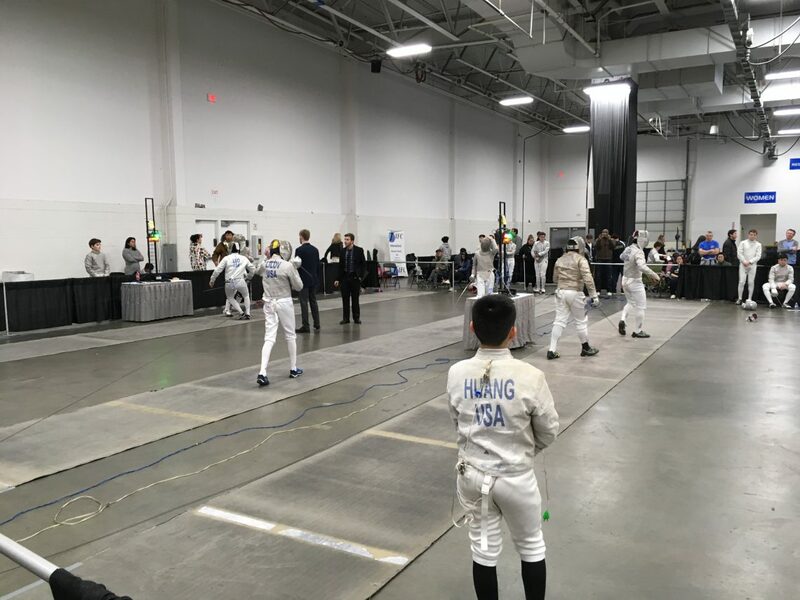 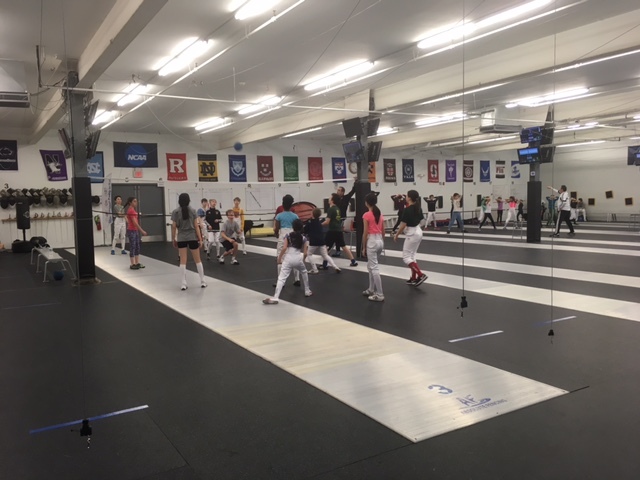 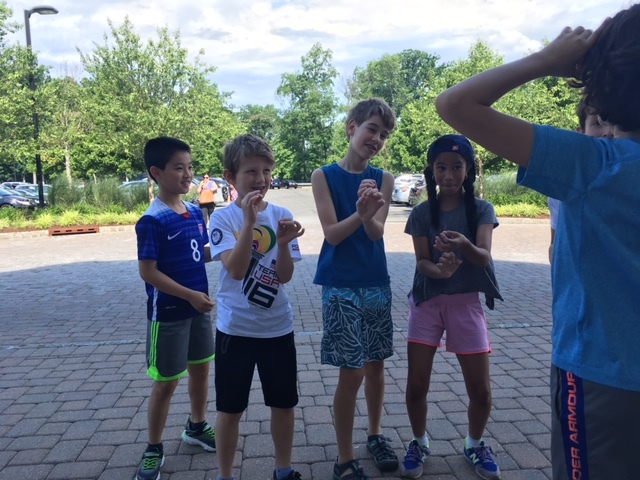 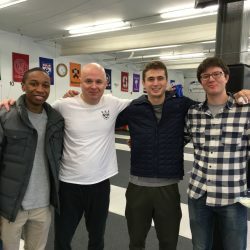 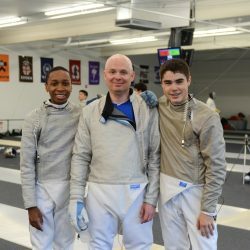 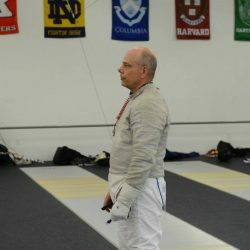 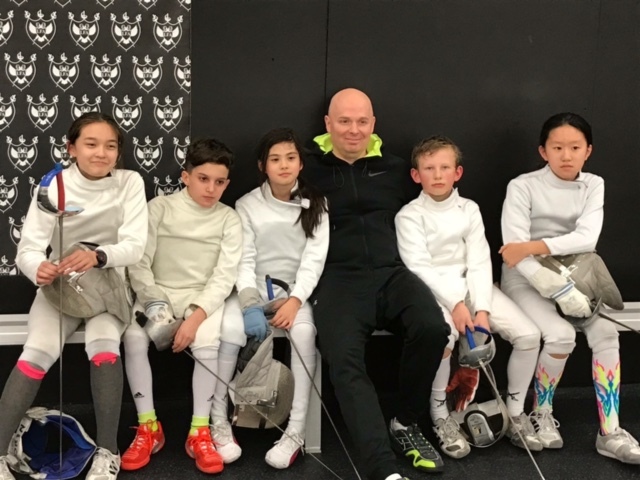 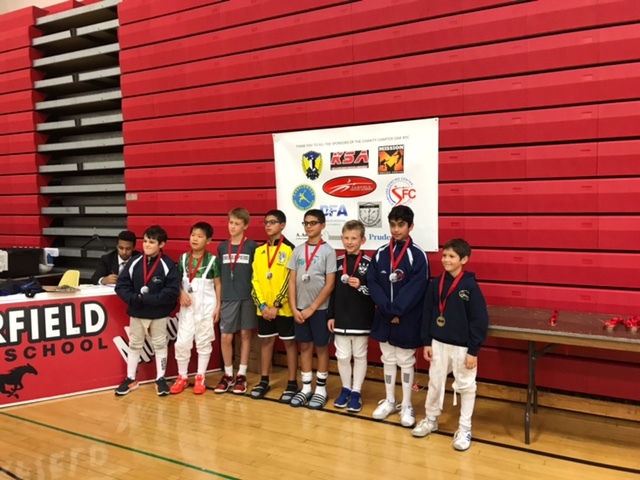 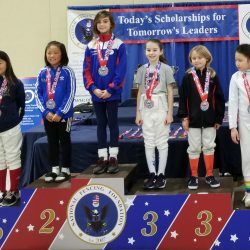 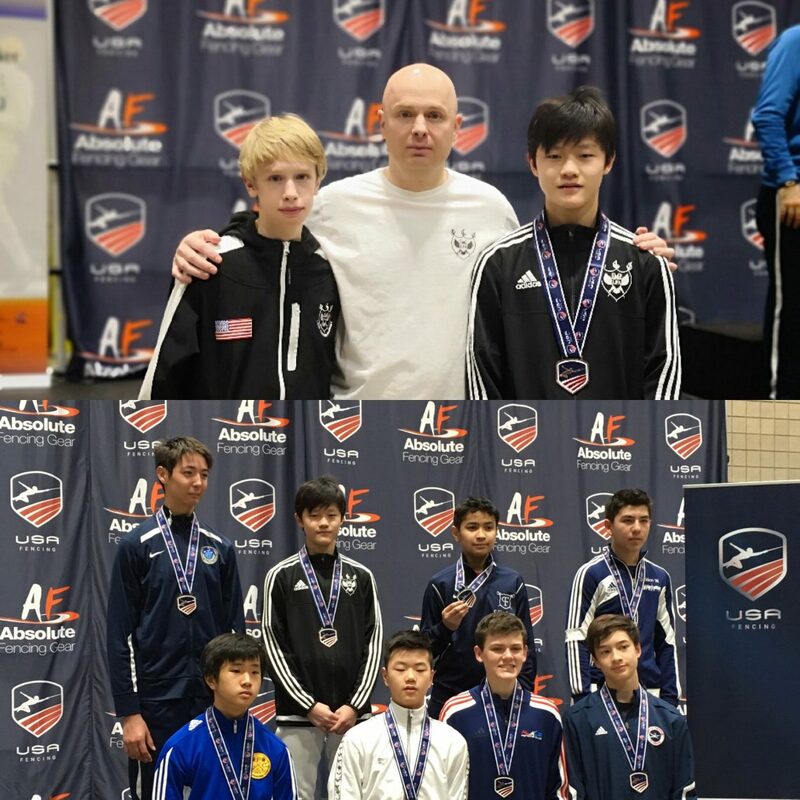 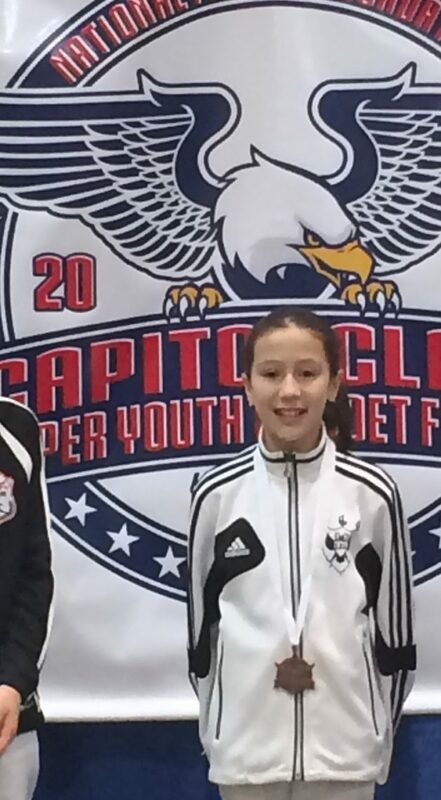 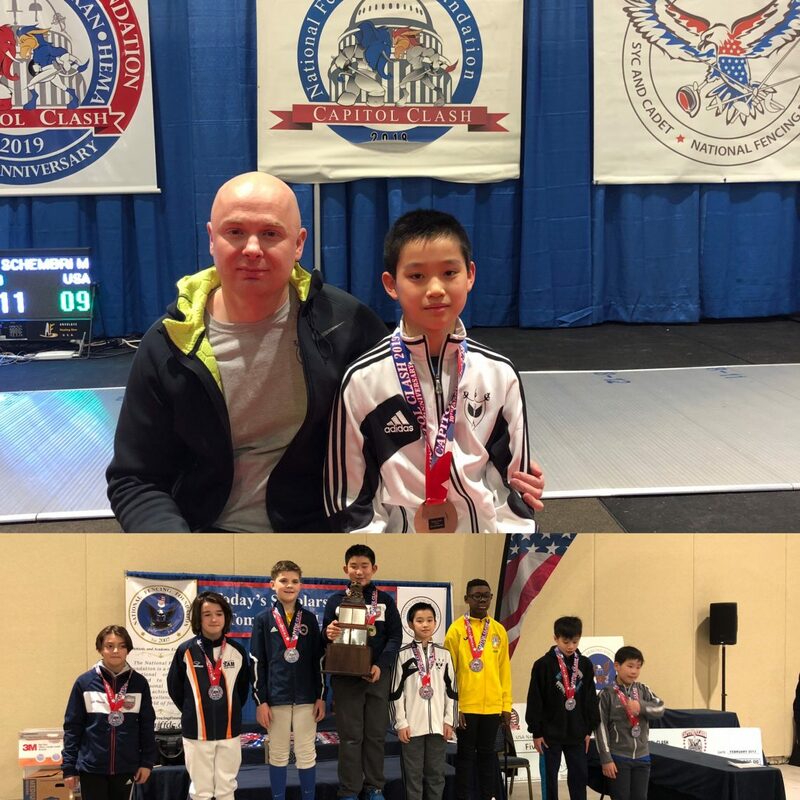 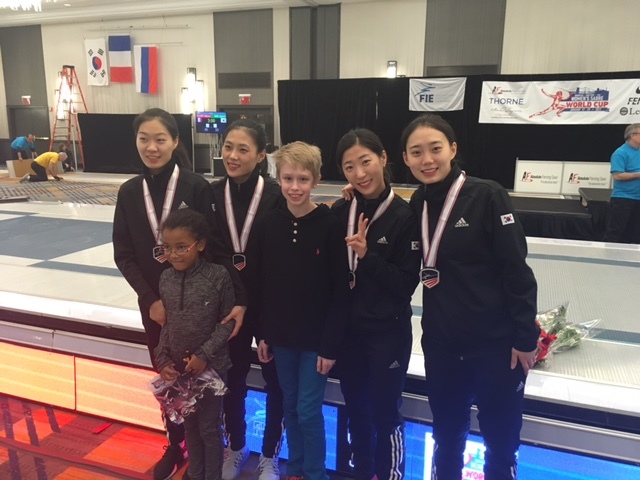 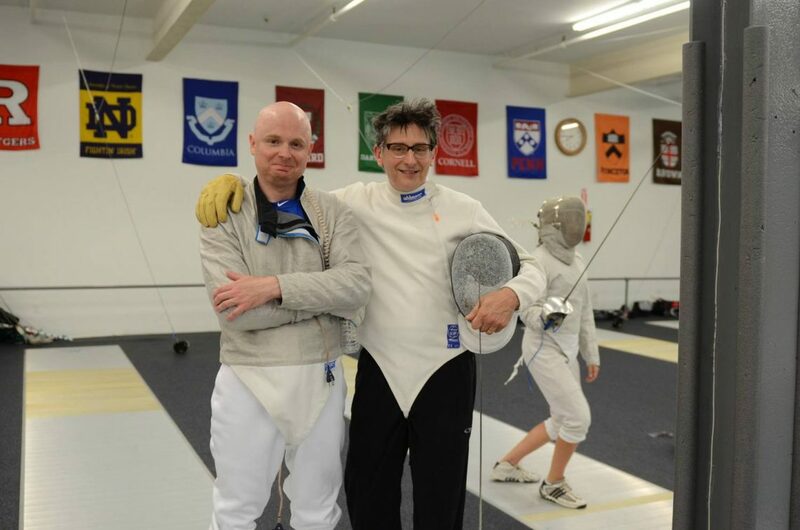 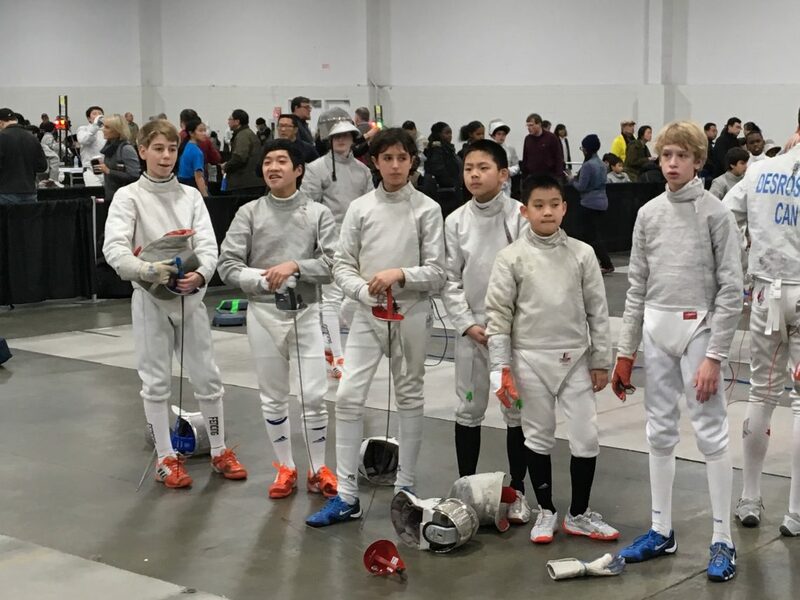 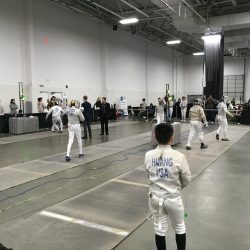 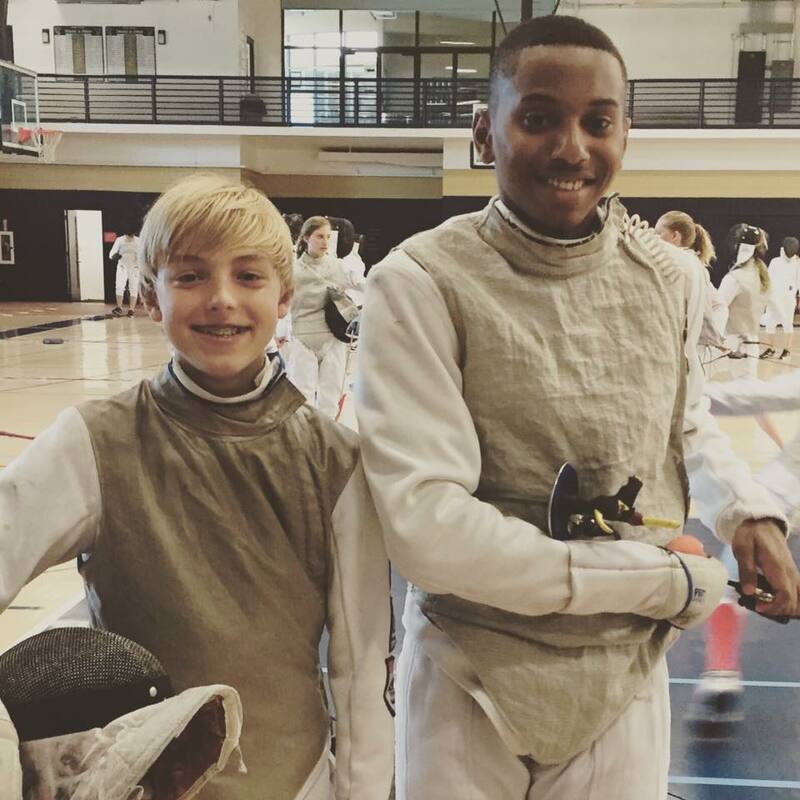 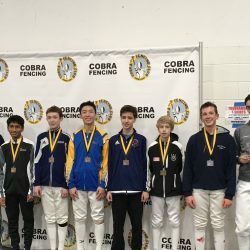 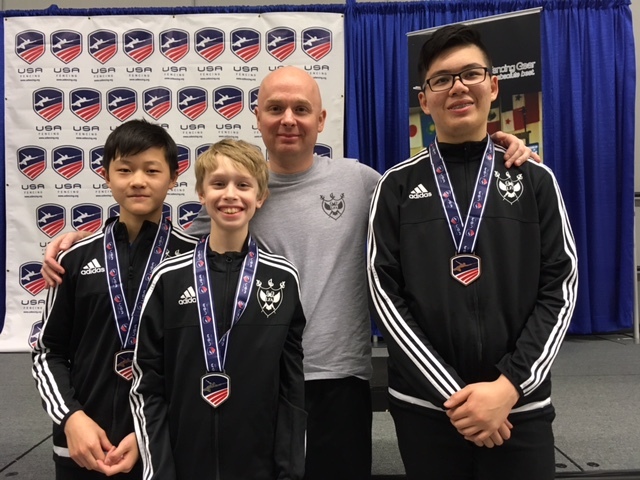 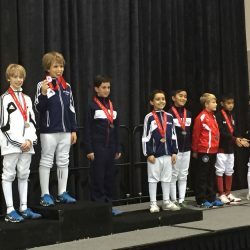 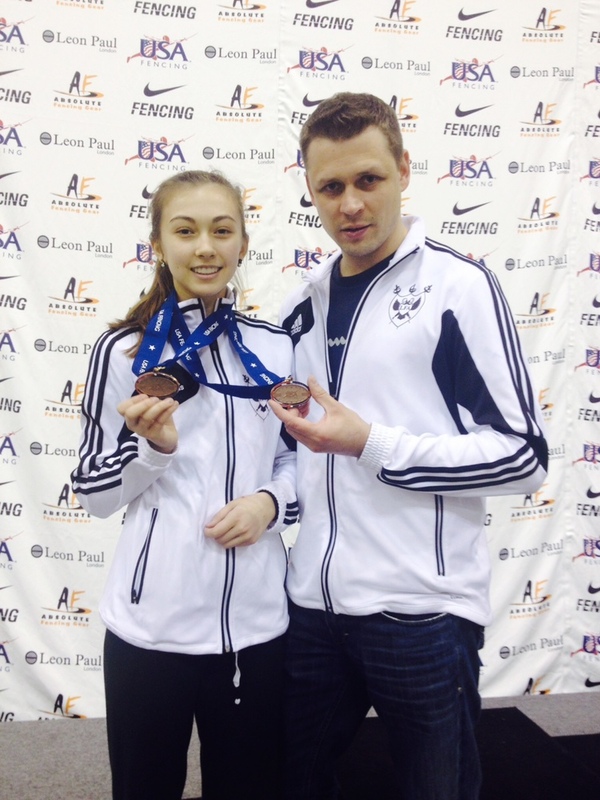 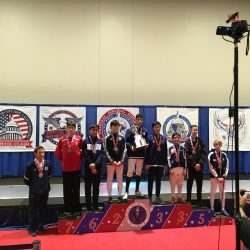 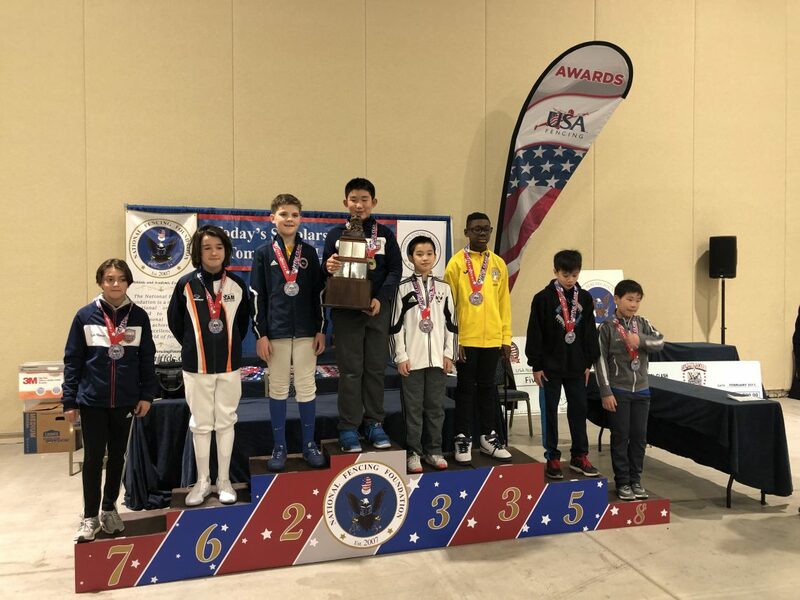 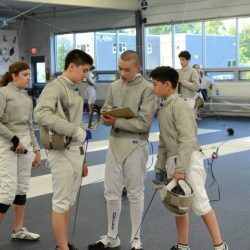 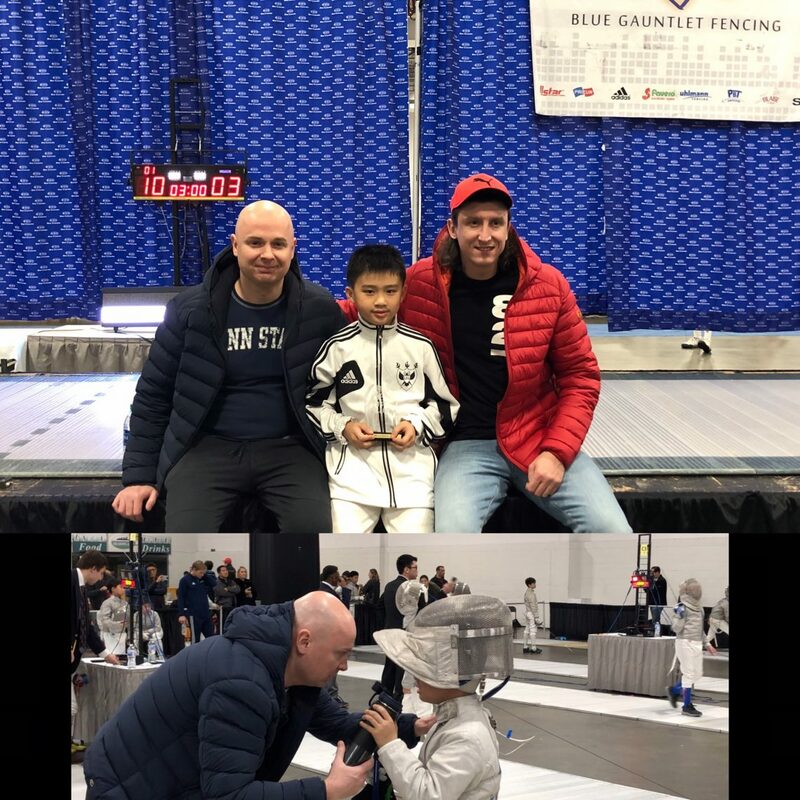 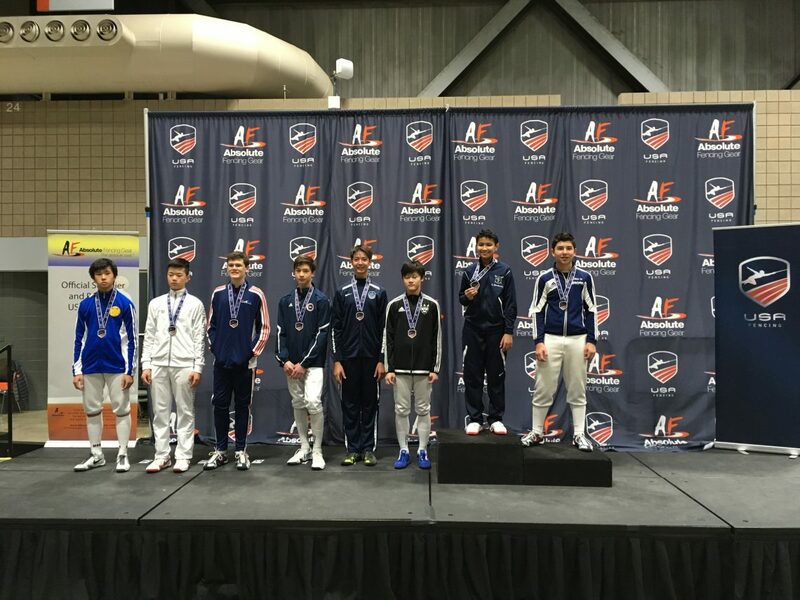 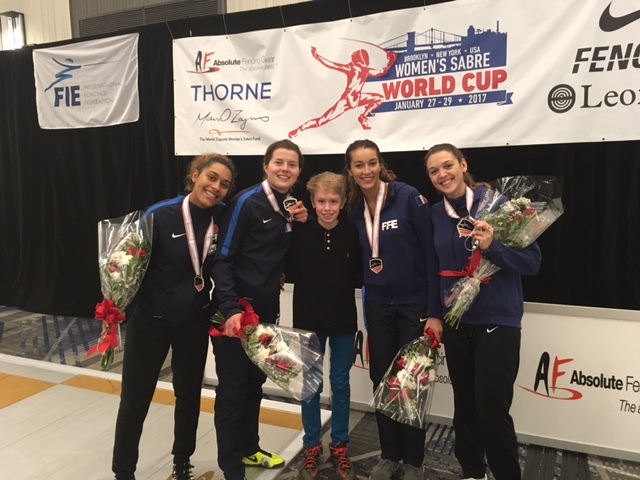 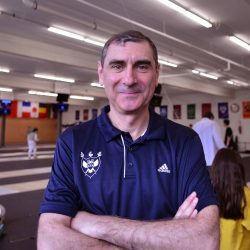 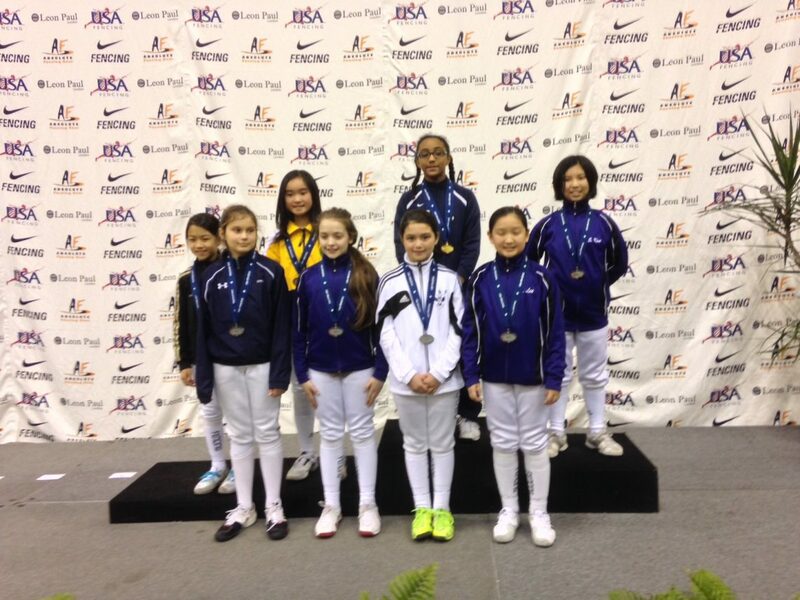 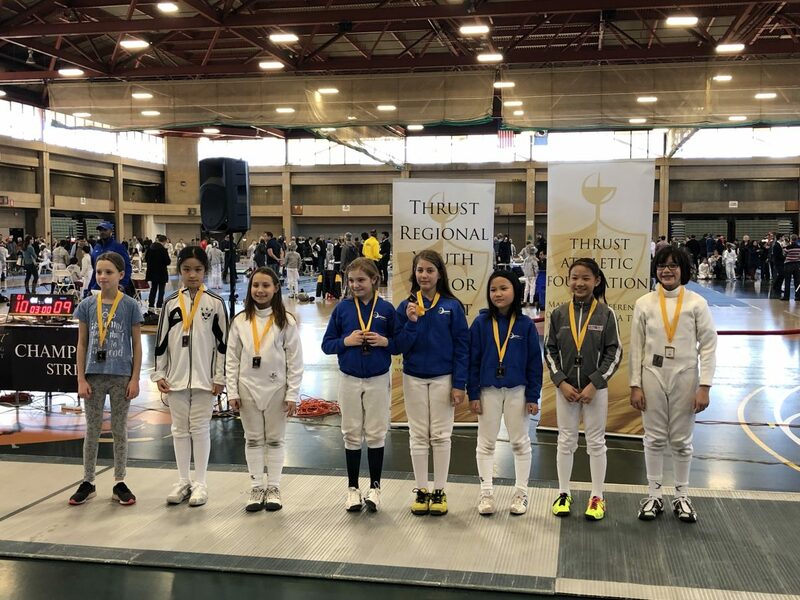 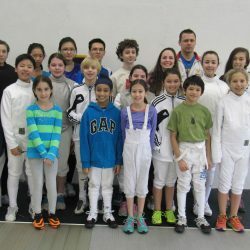 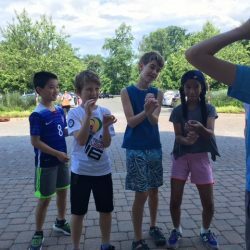 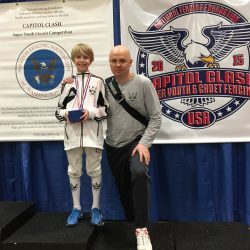 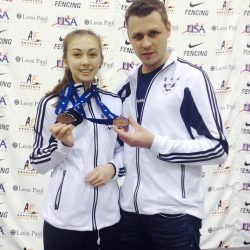 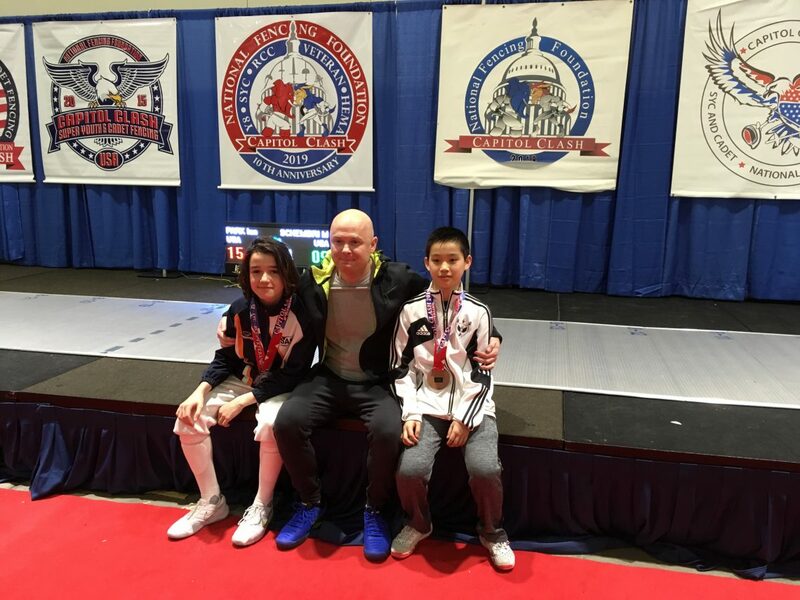 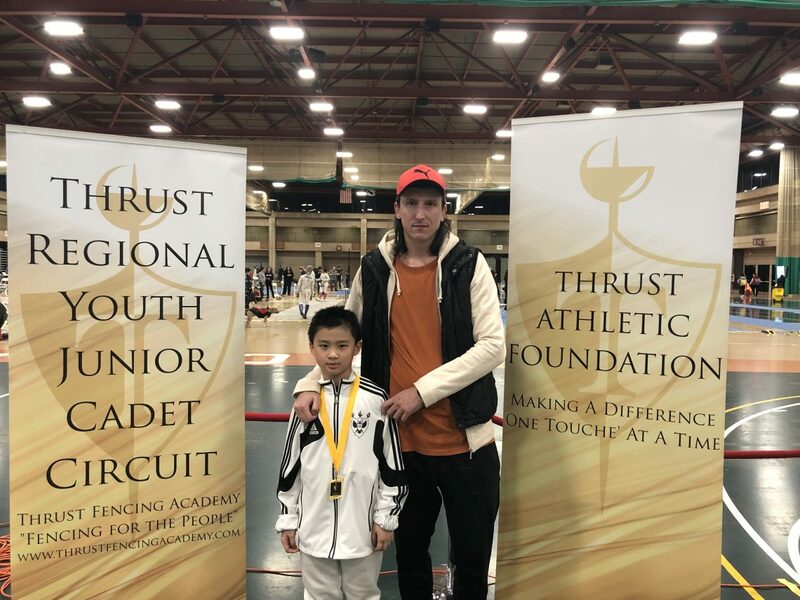 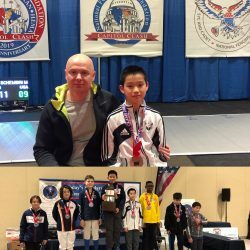 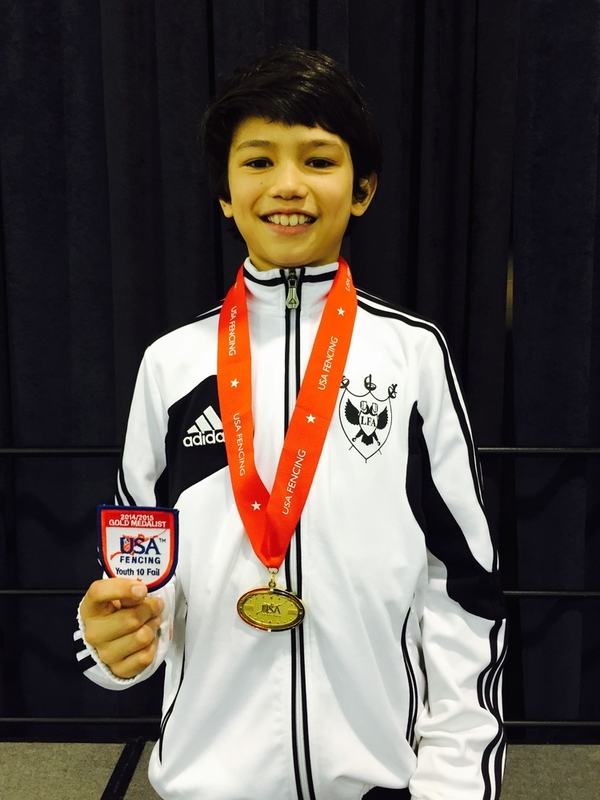 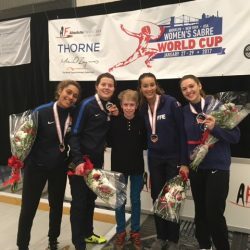 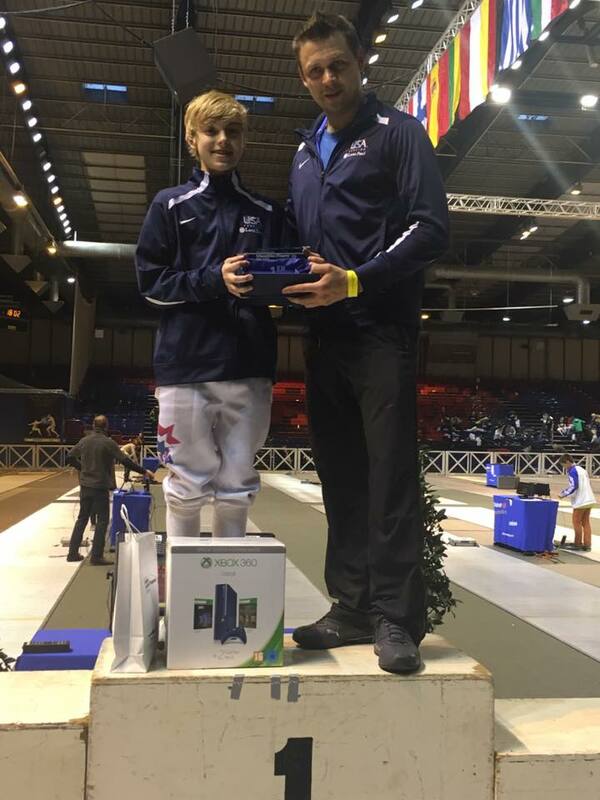 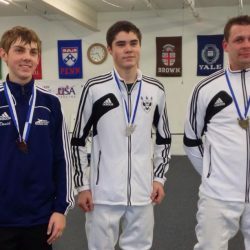 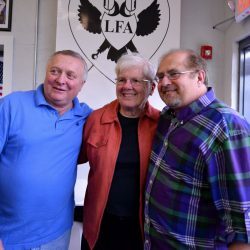 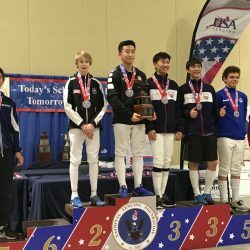 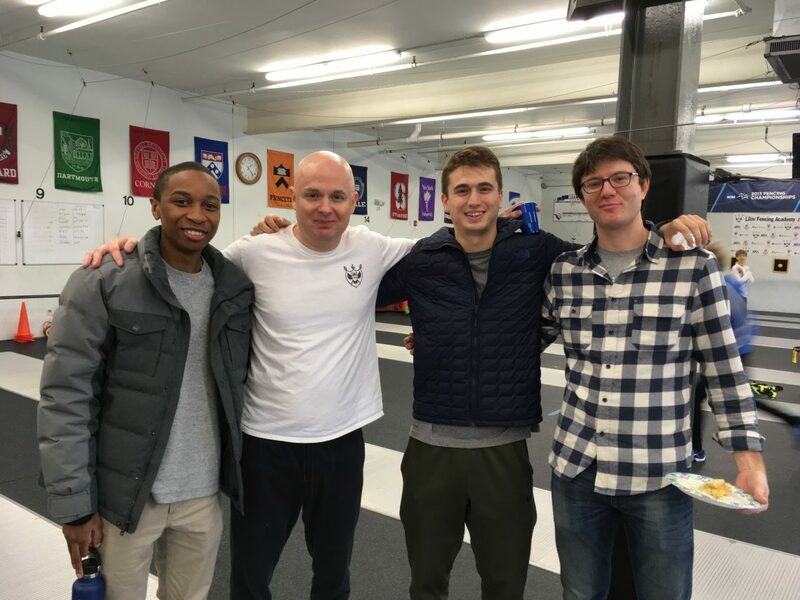 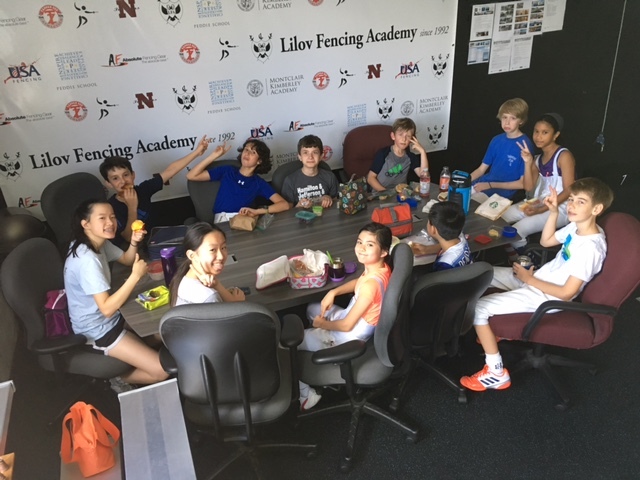 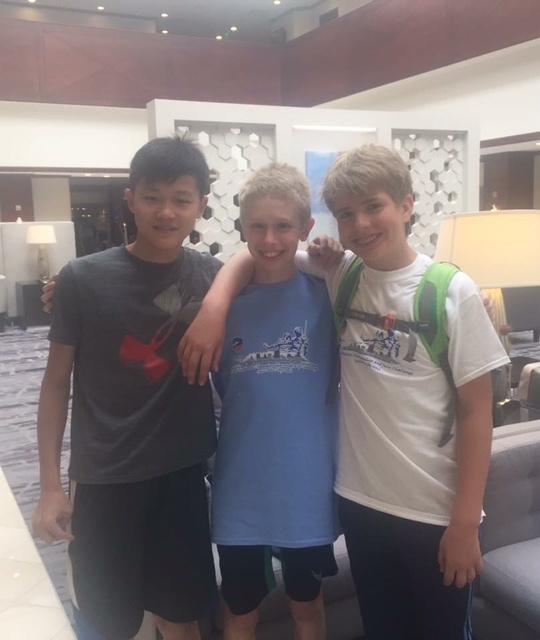 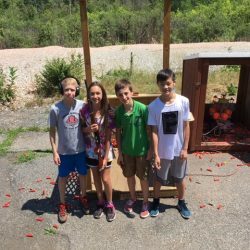 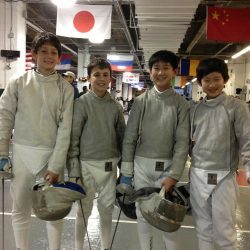 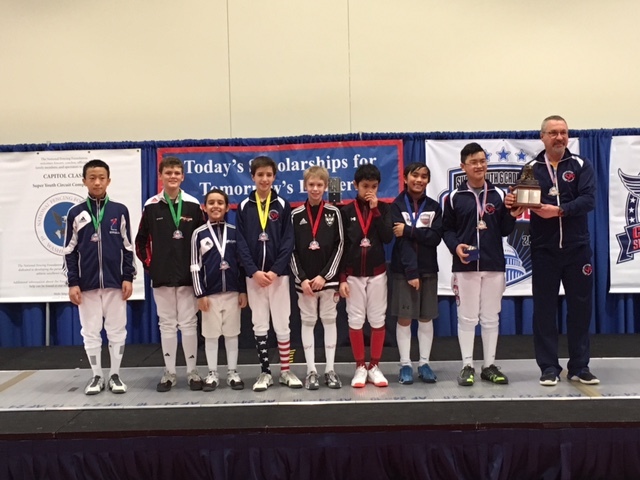 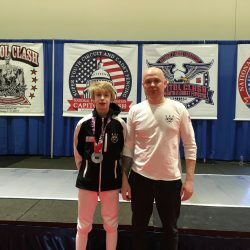 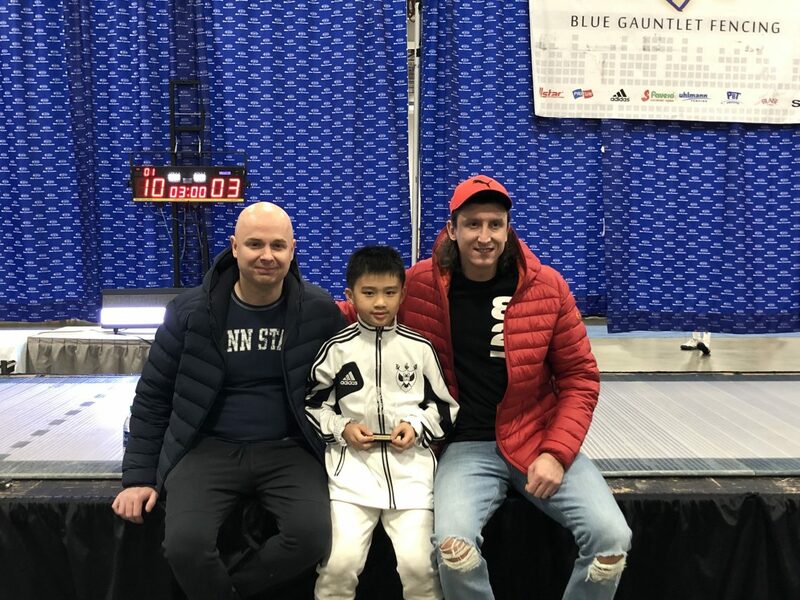 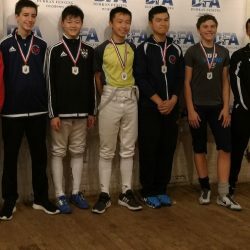 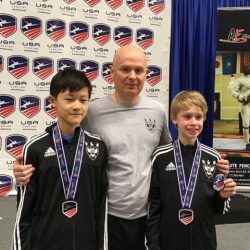 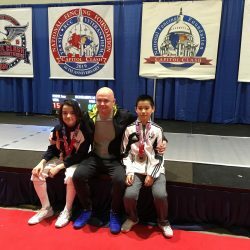 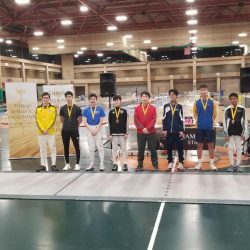 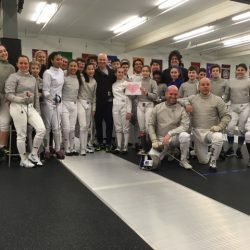 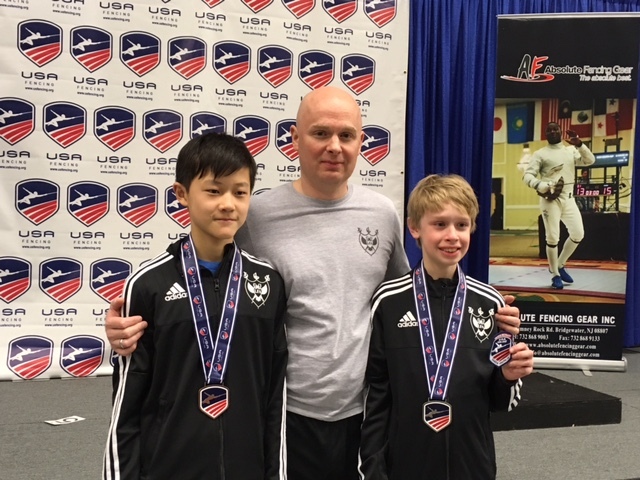 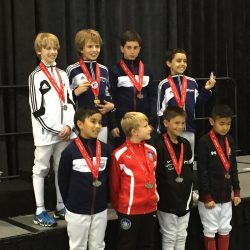 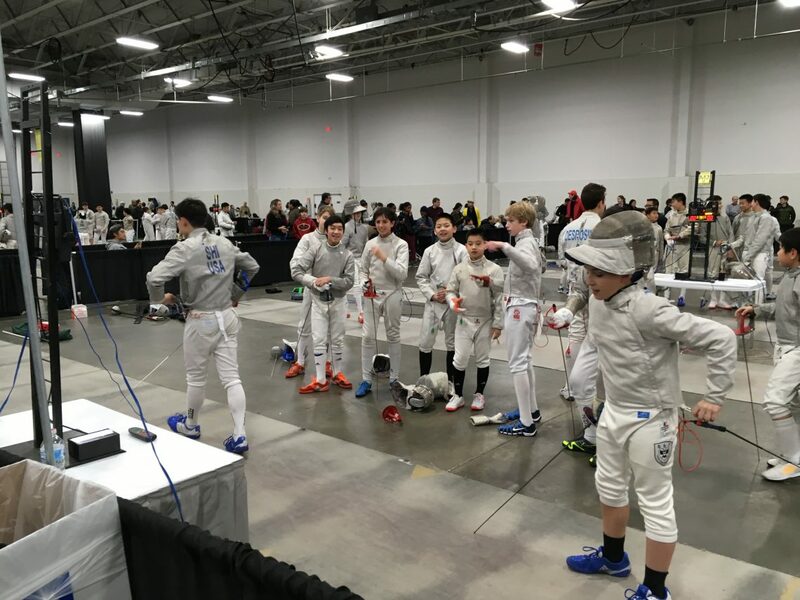 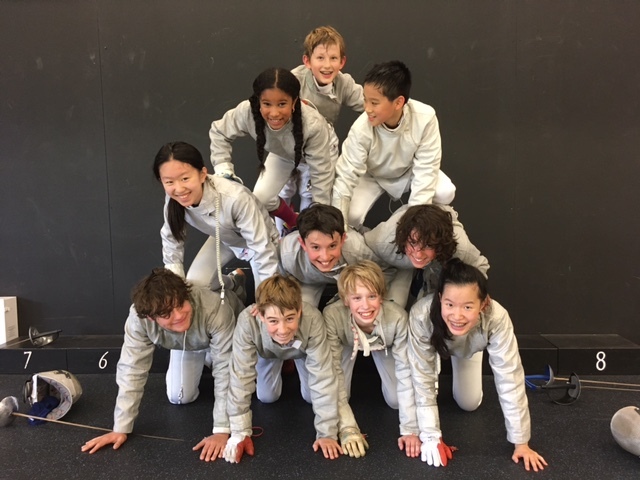 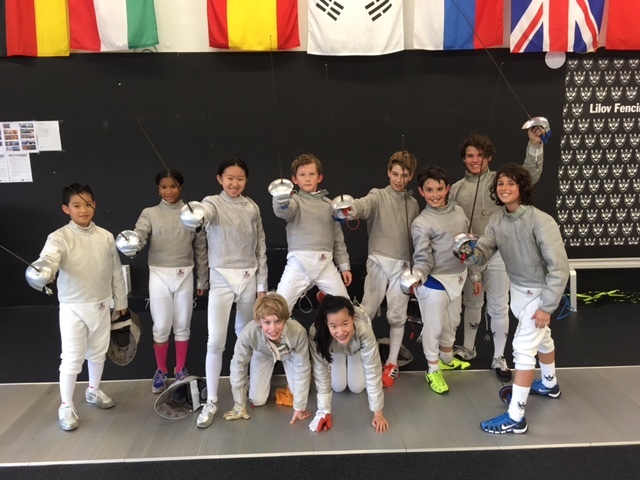 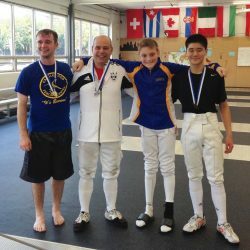 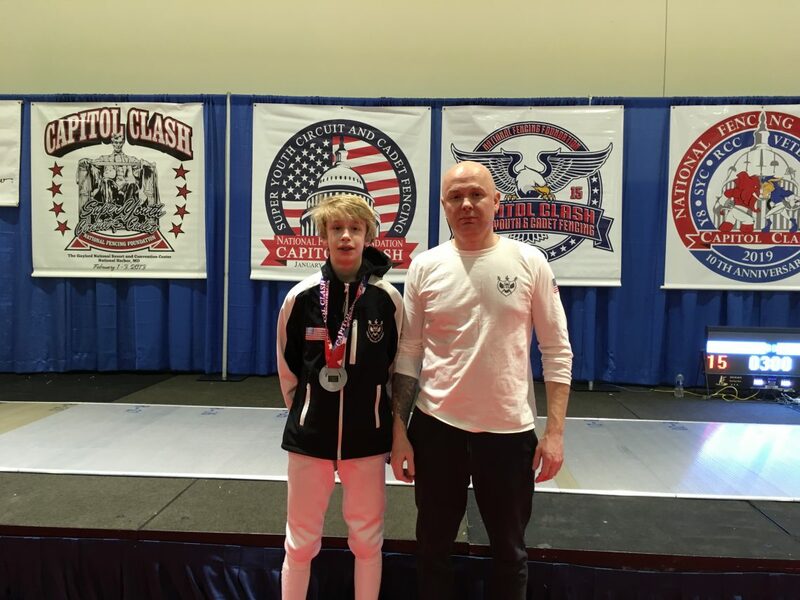 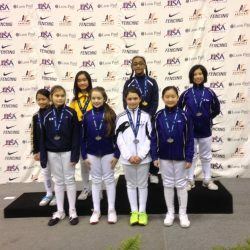 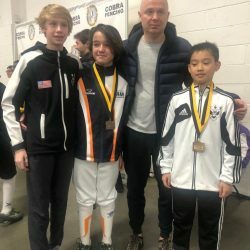 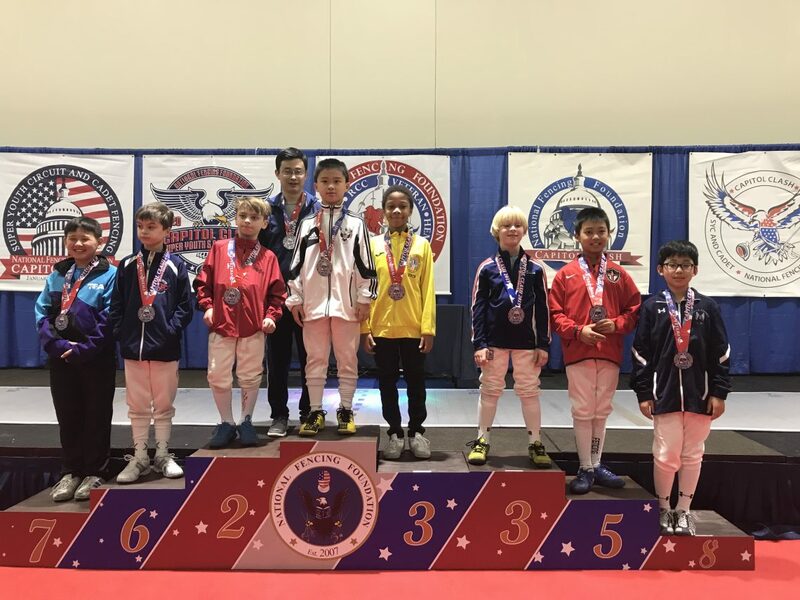 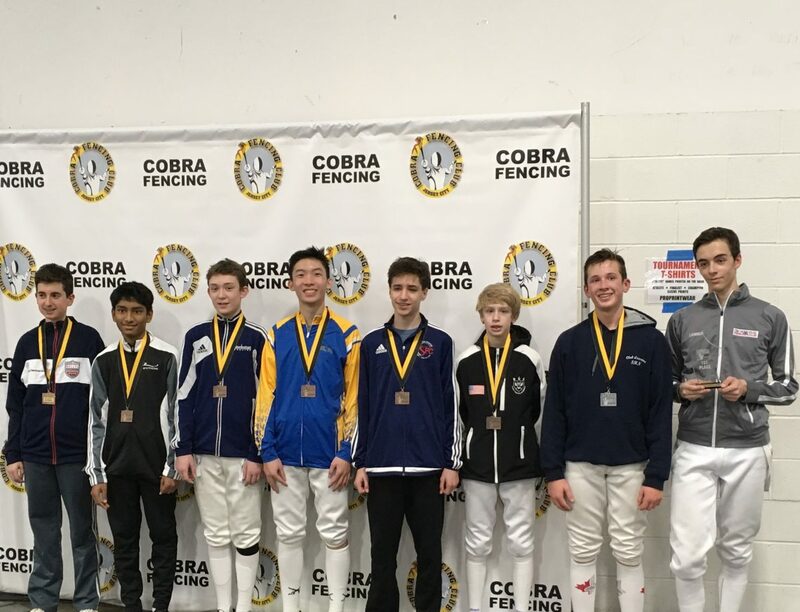 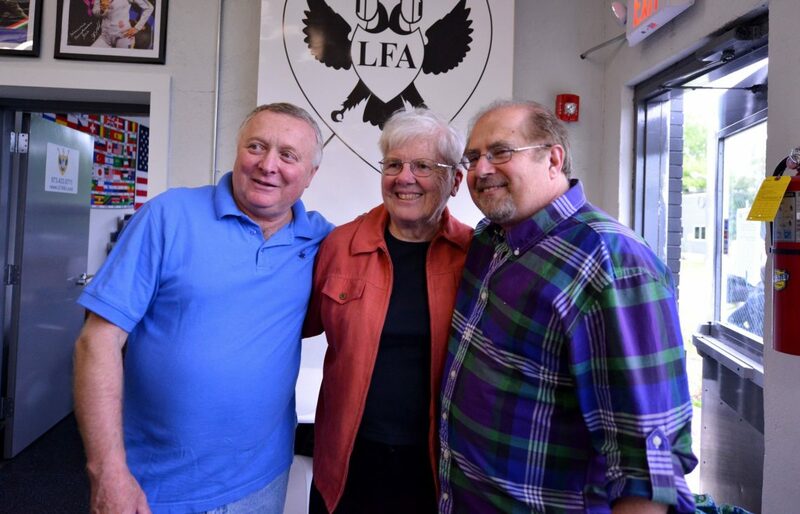 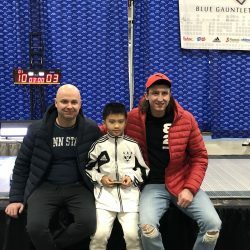 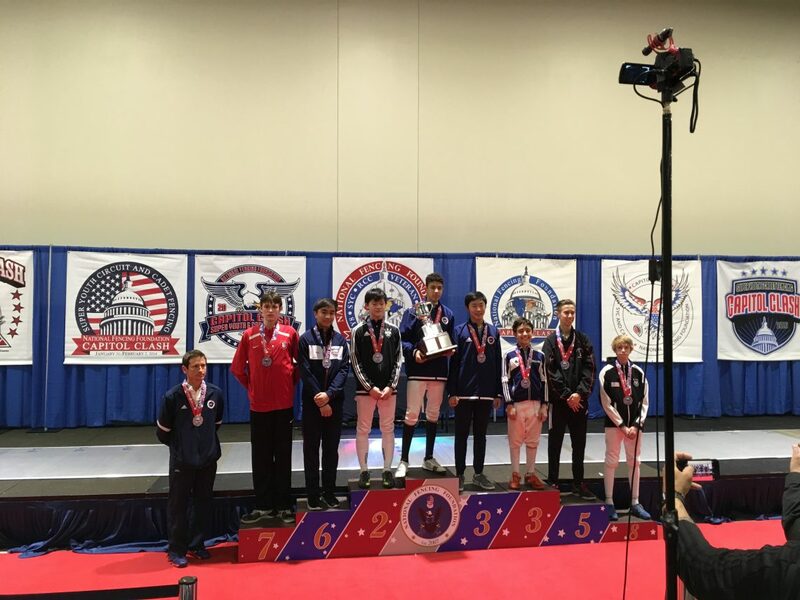 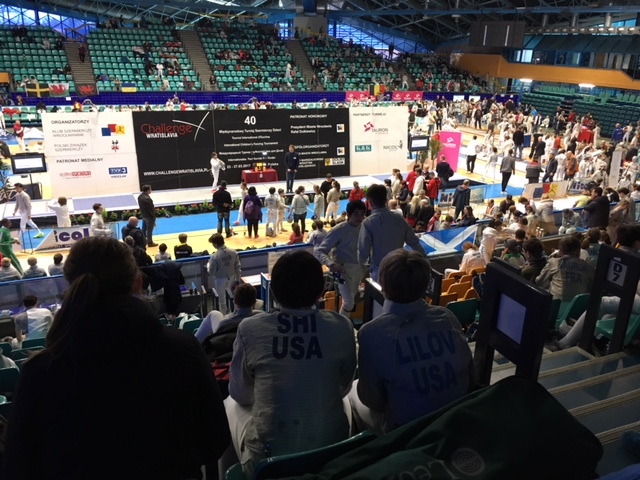 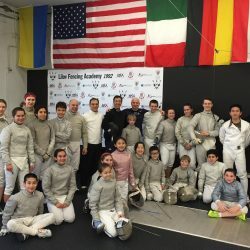 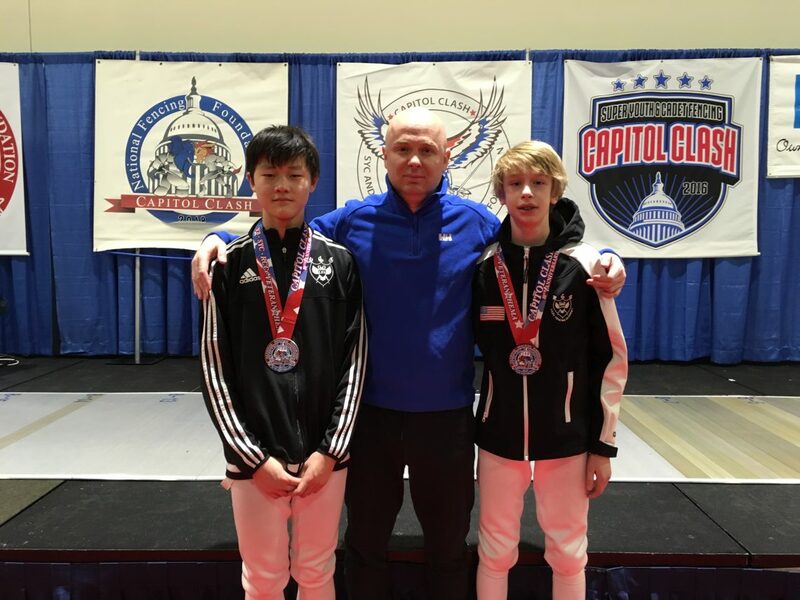 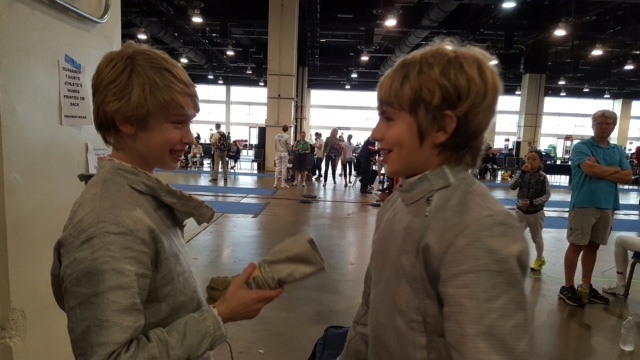 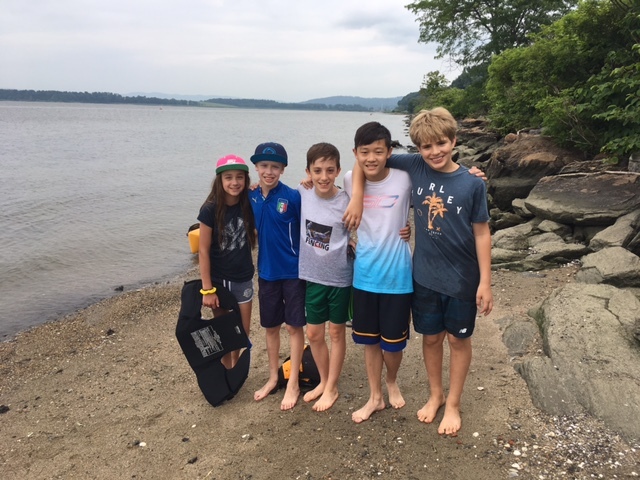 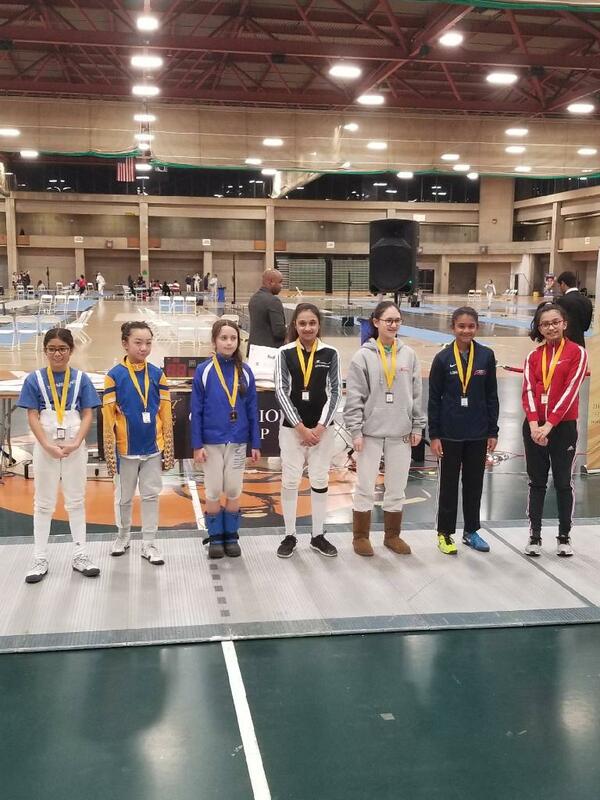 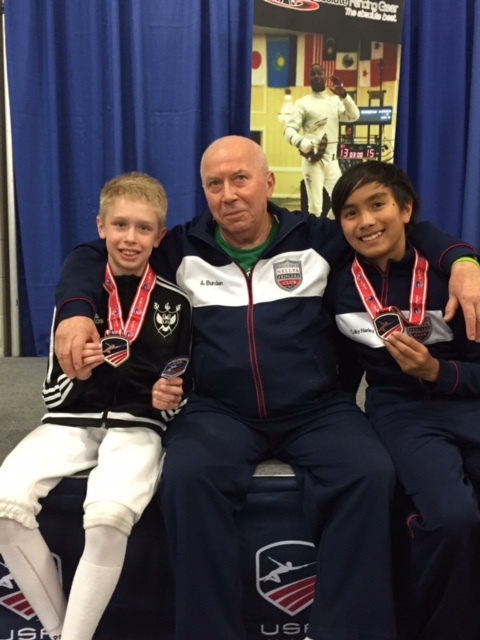 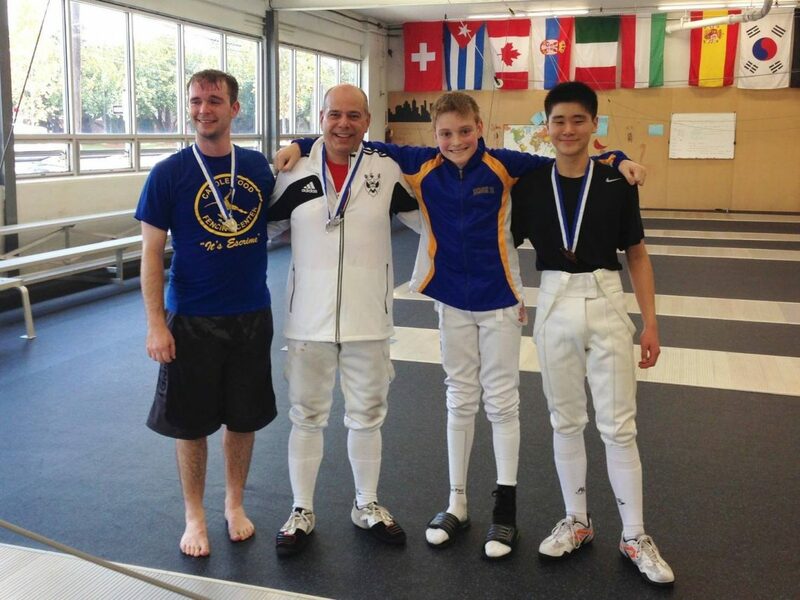 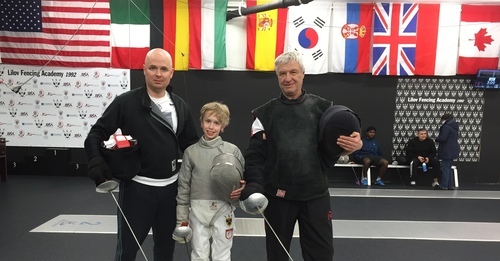 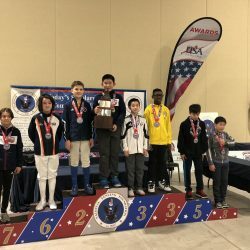 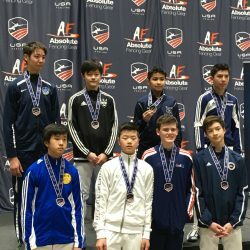 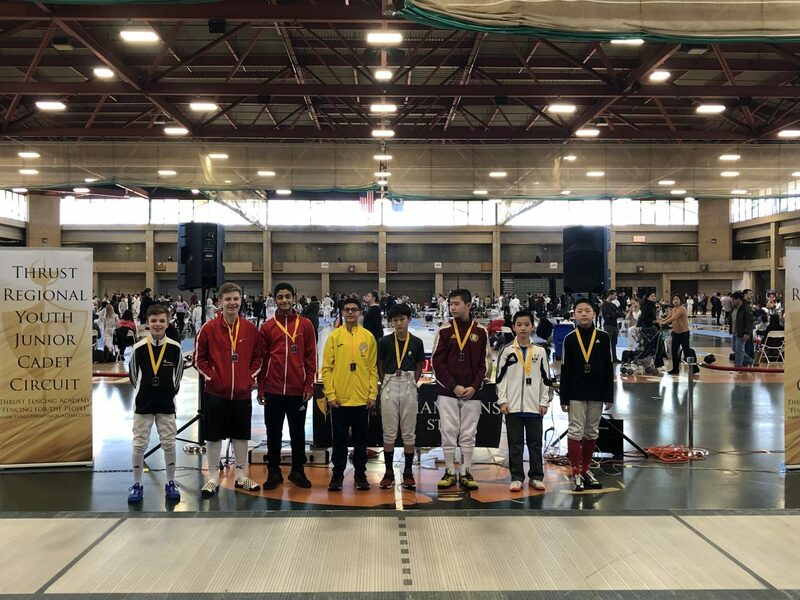 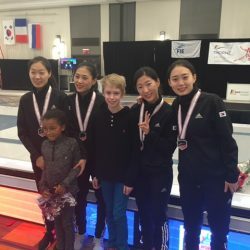 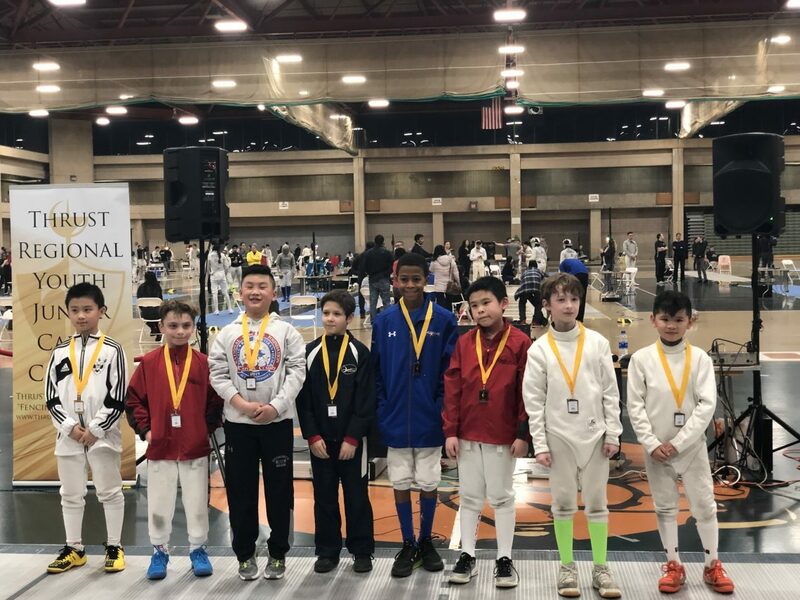 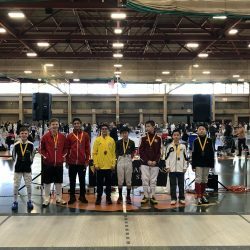 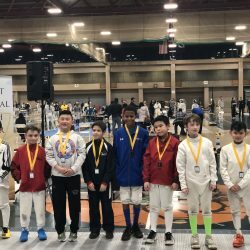 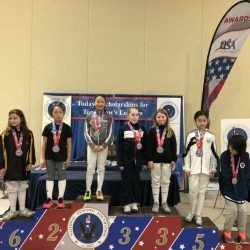 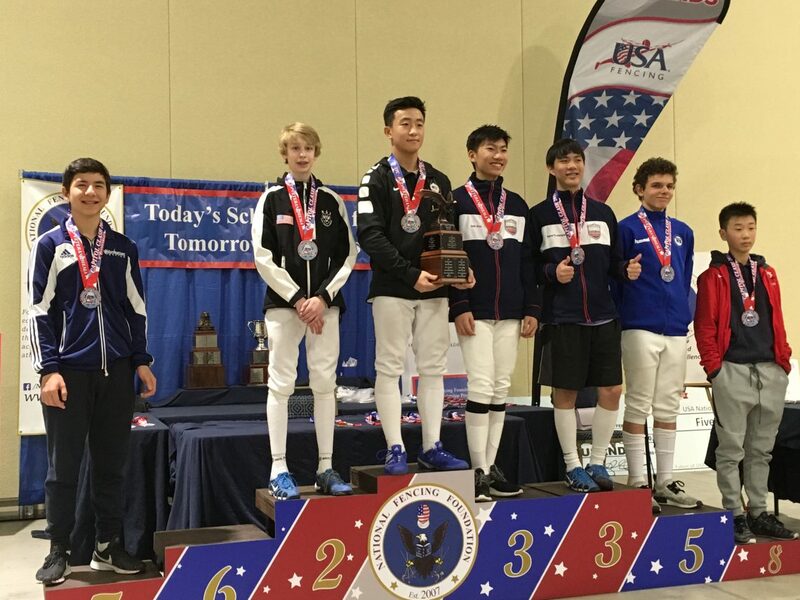 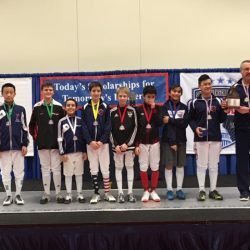 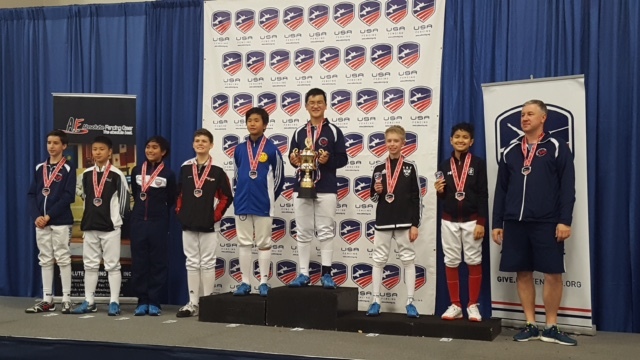 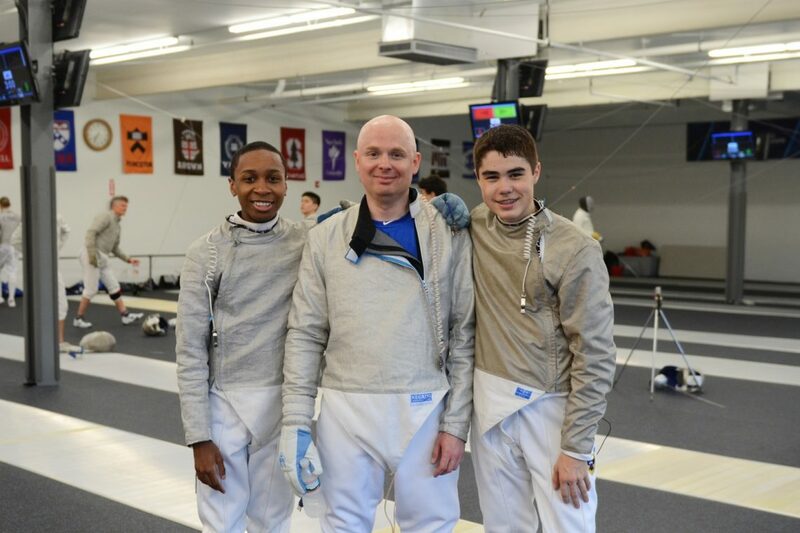 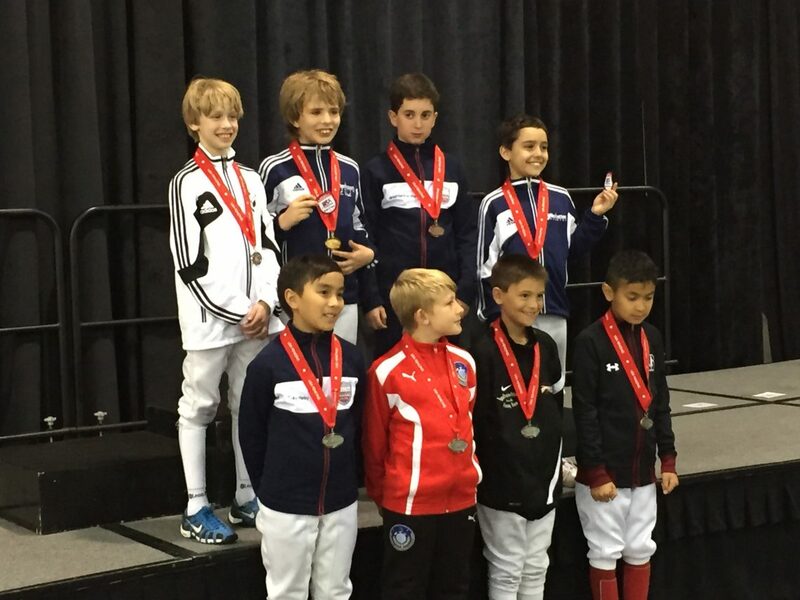 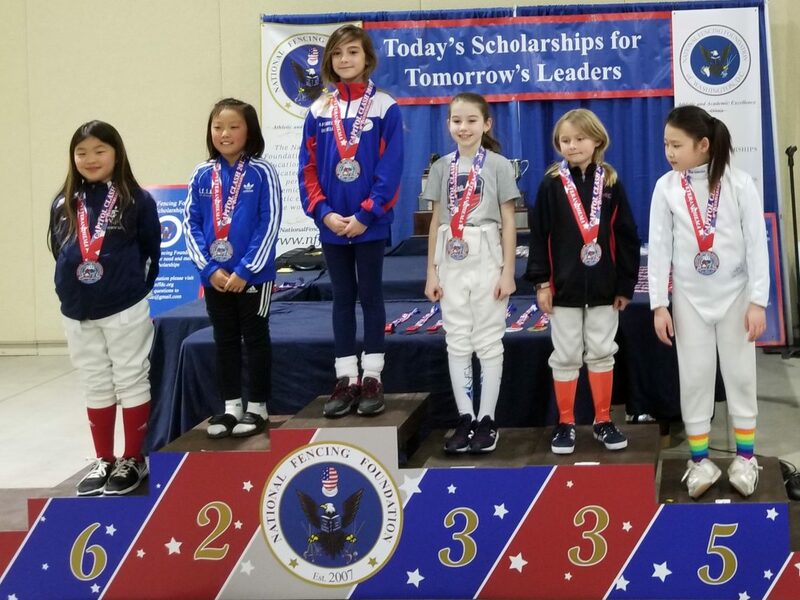 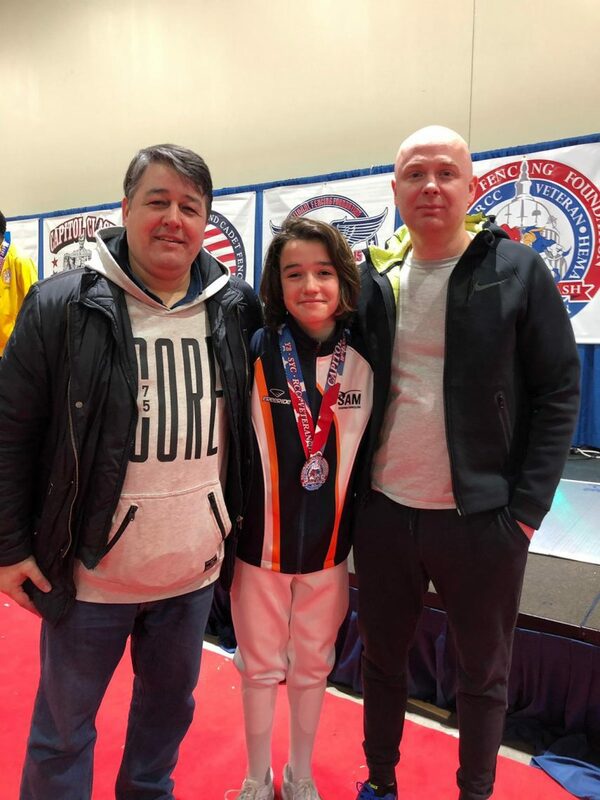 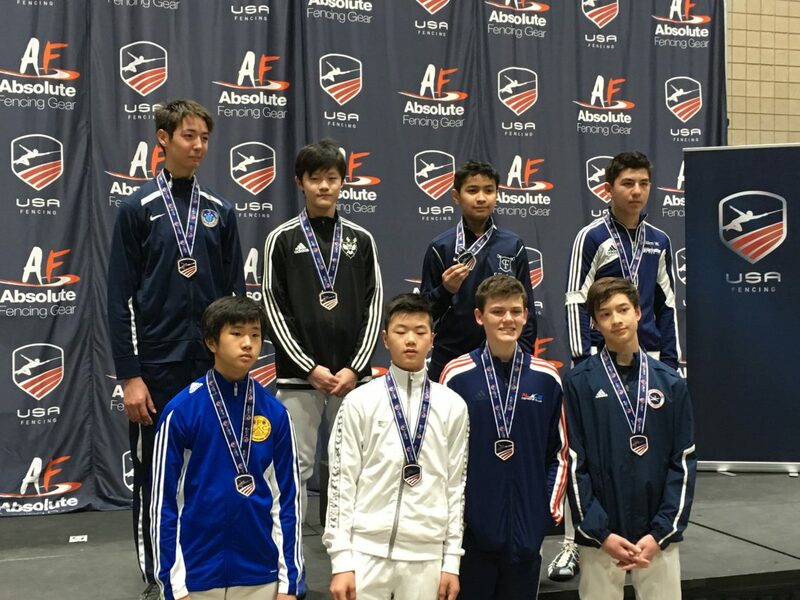 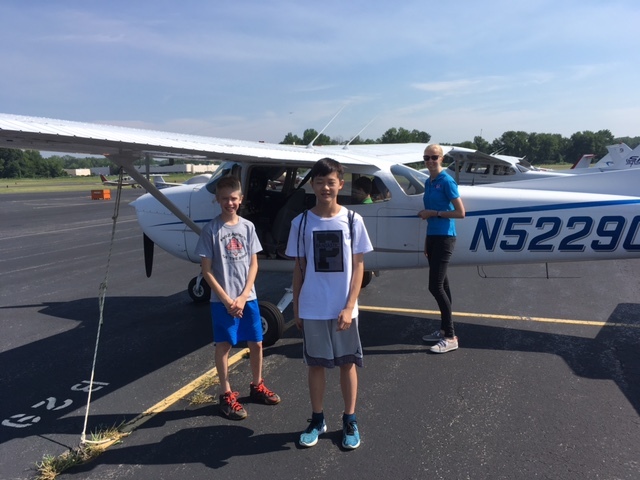 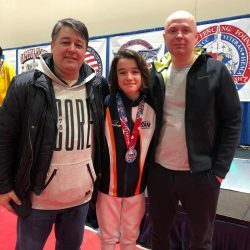 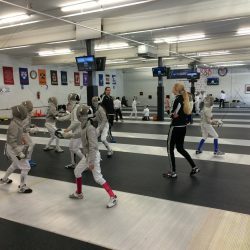 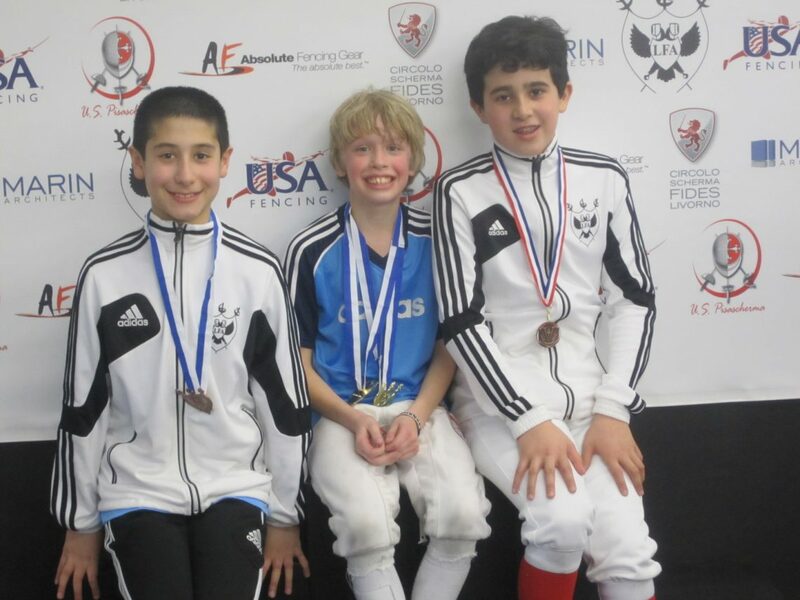 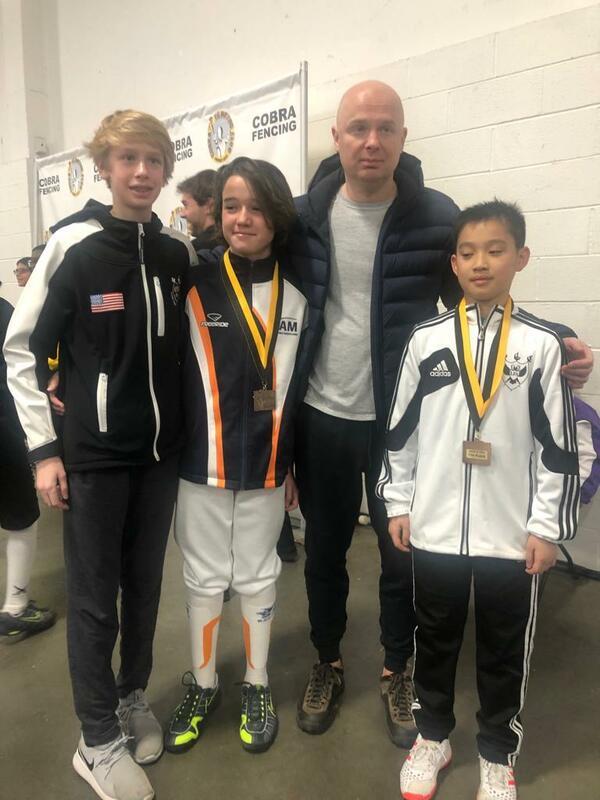 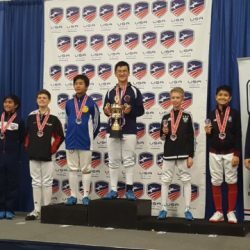 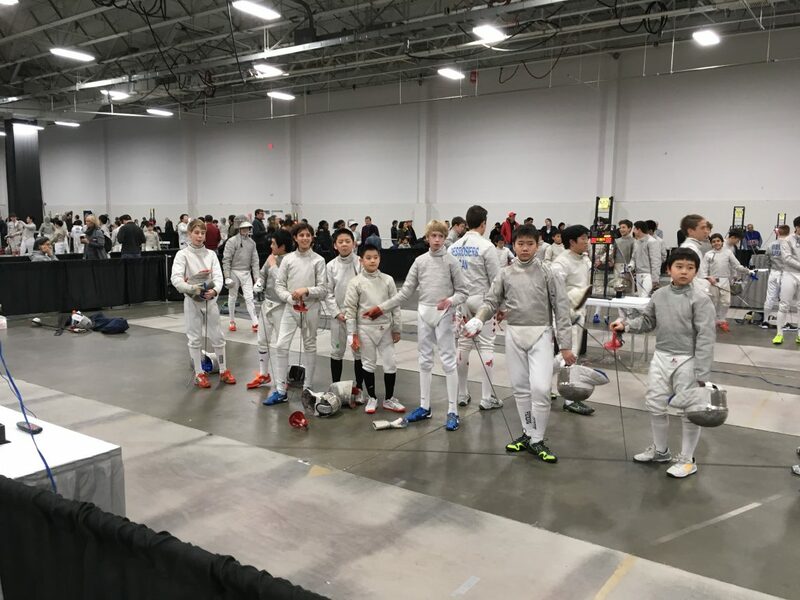 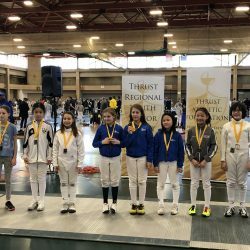 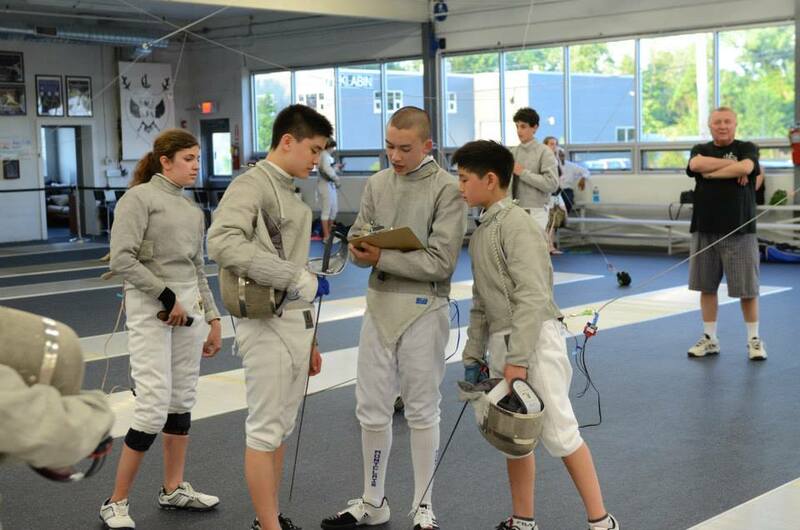 Many of our students have gone on to fence for some of the best schools in the country, and part of their success is due to the exceptional fencing skills they gained at Lilov Fencing Academy in Cedar Grove. 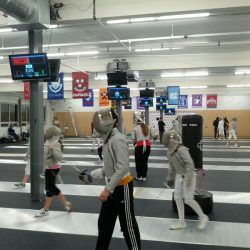 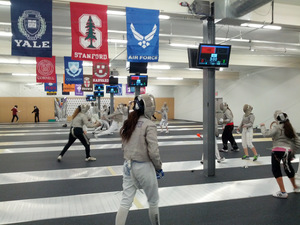 Fencing is a sport that teaches discipline, dedication, and critical thinking in a fast-moving, exciting way. 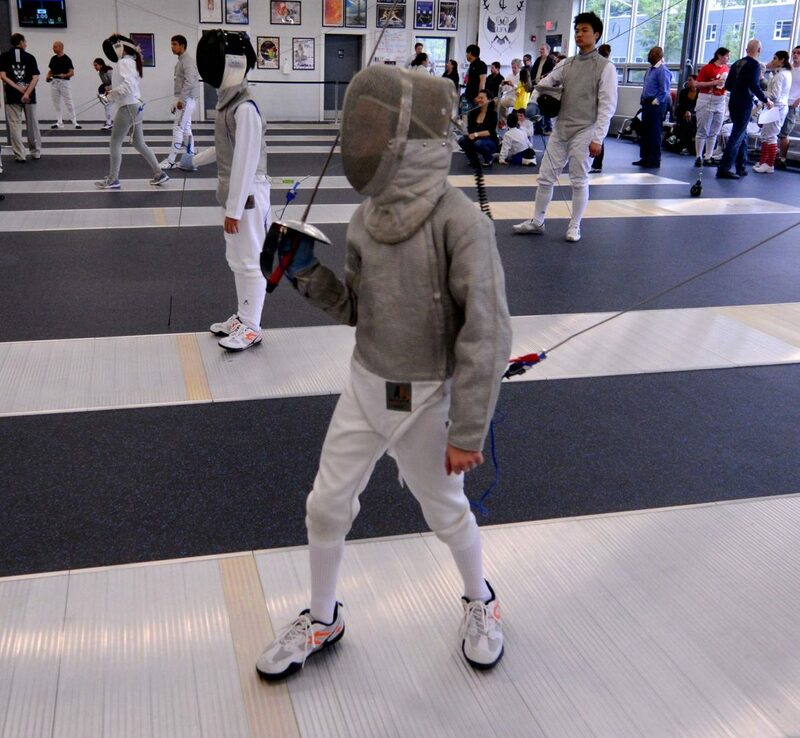 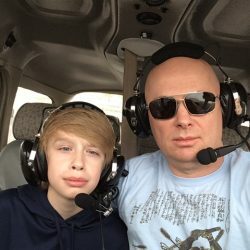 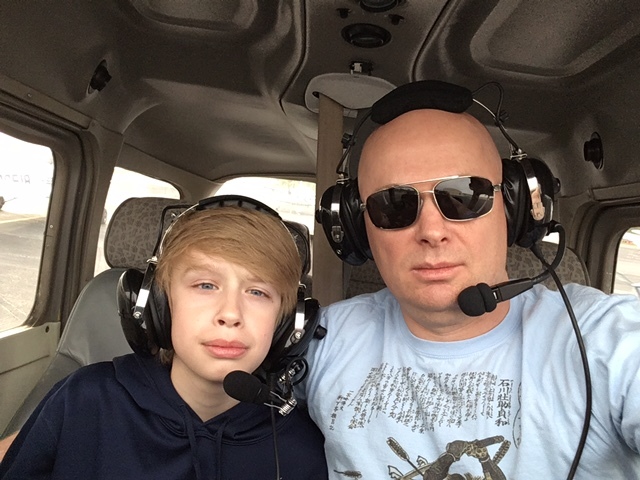 Contact us today to find out how you can get your child started. 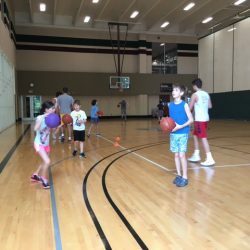 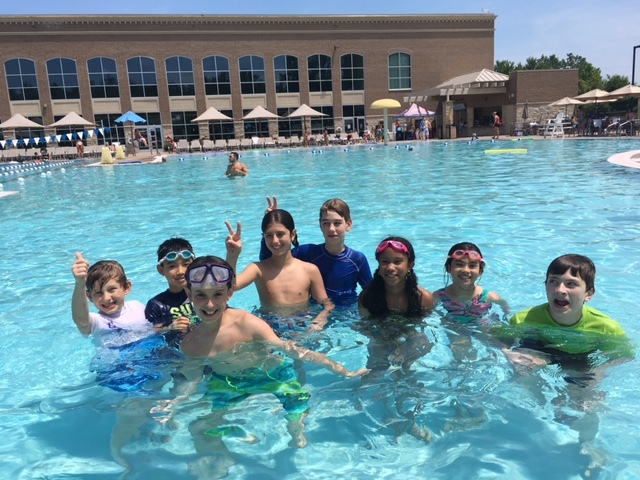 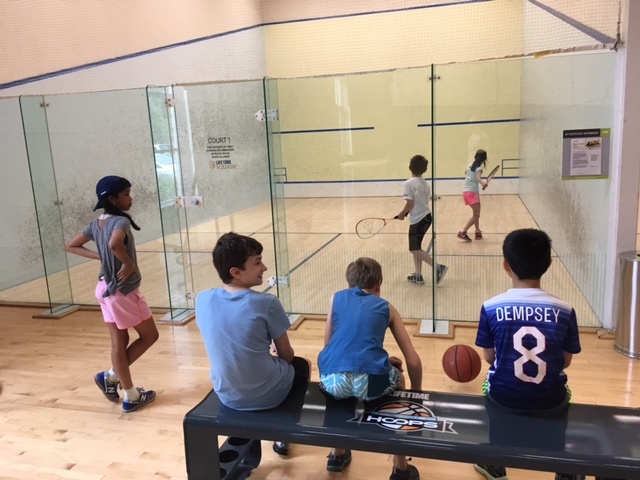 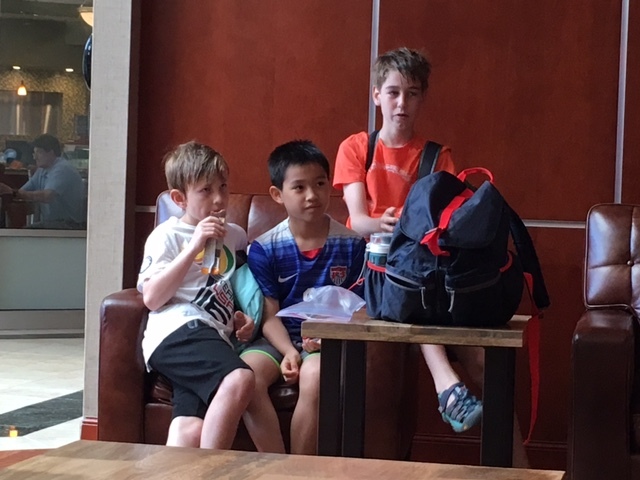 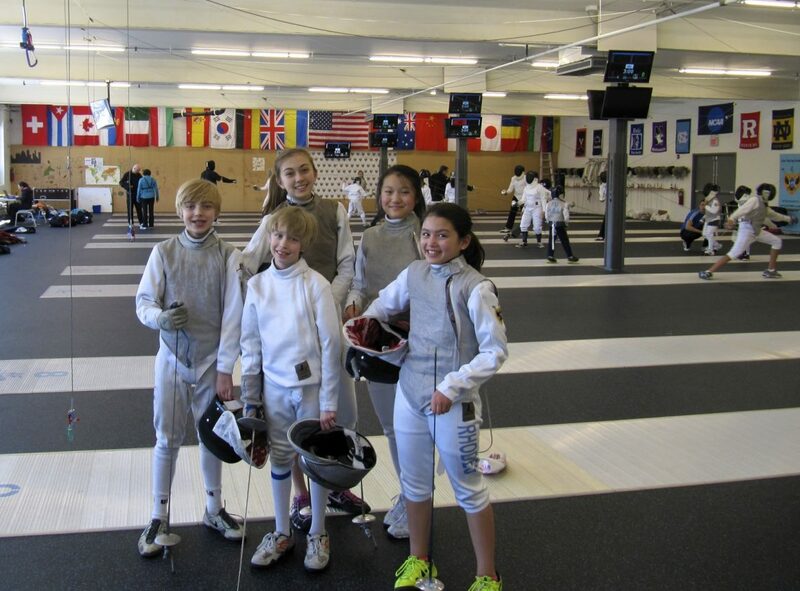 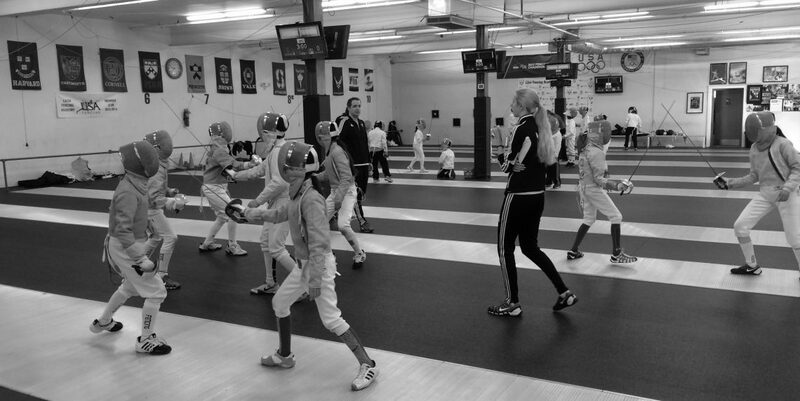 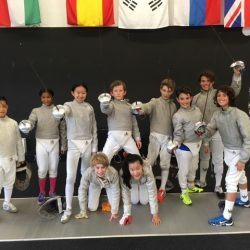 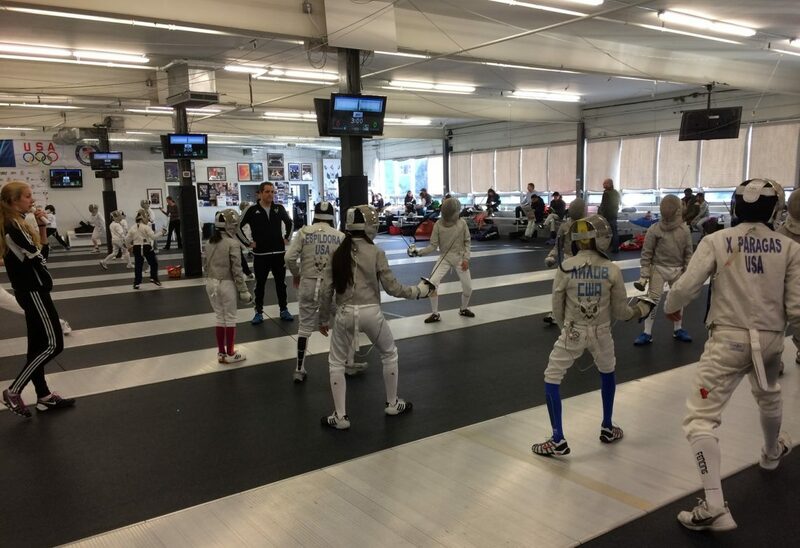 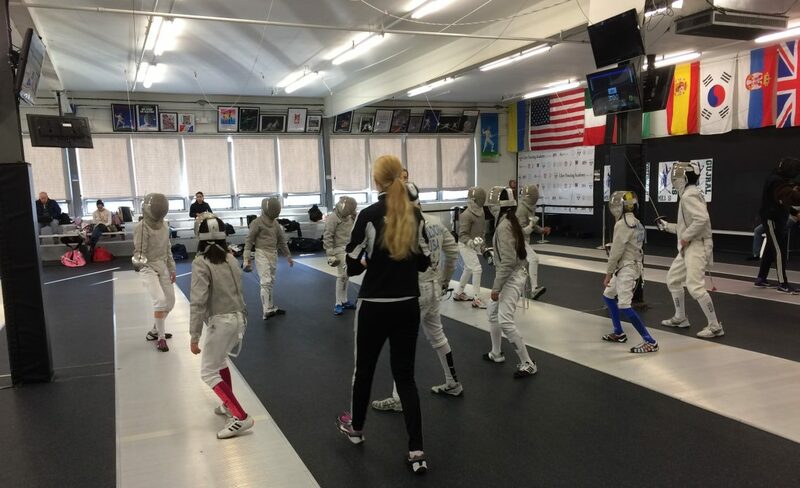 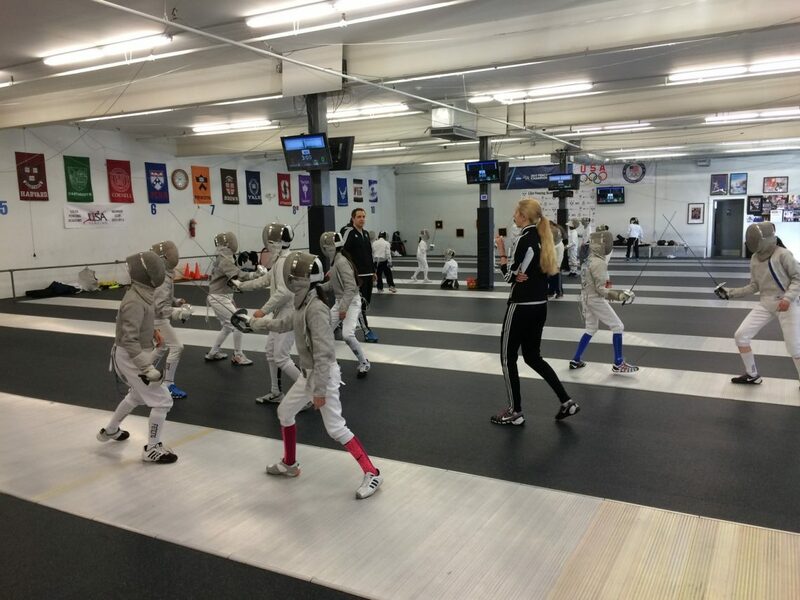 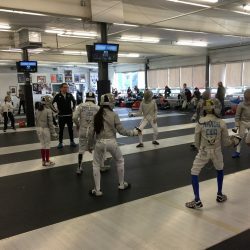 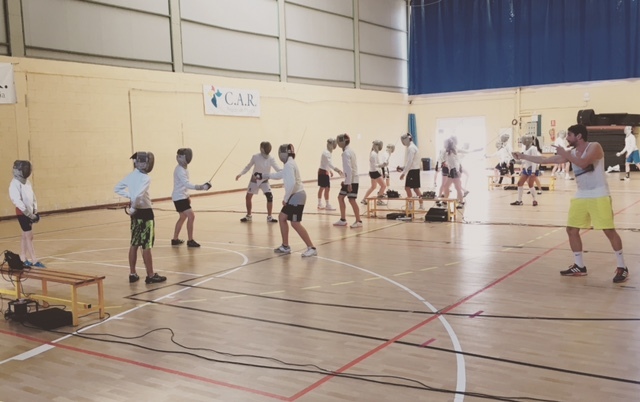 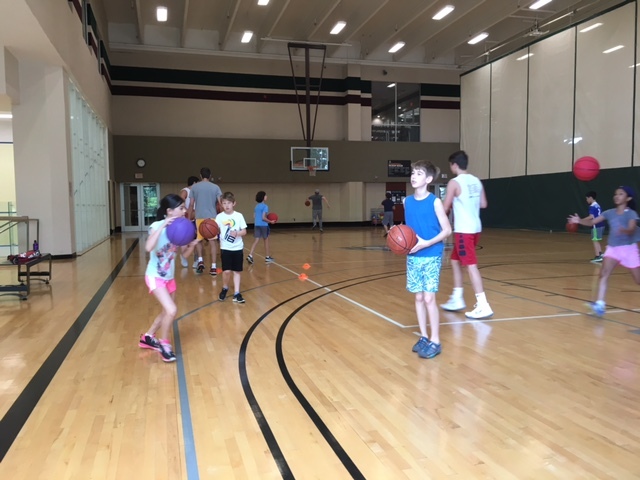 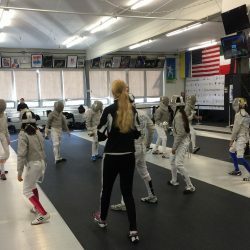 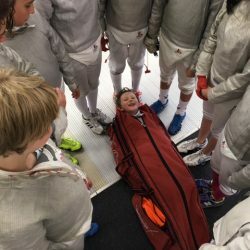 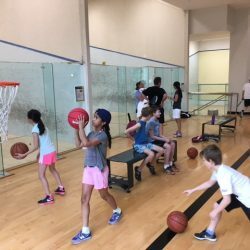 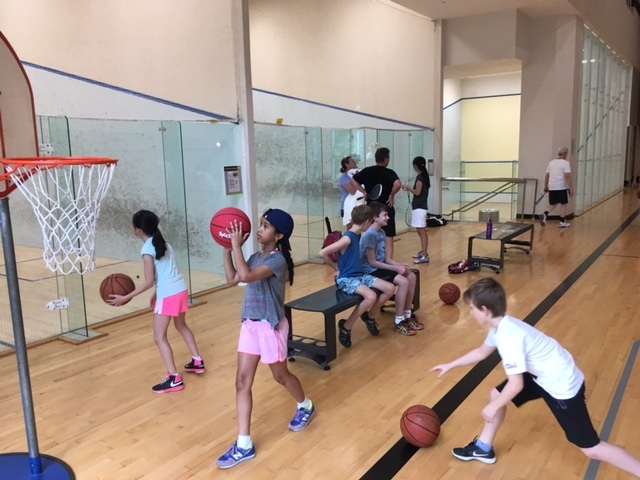 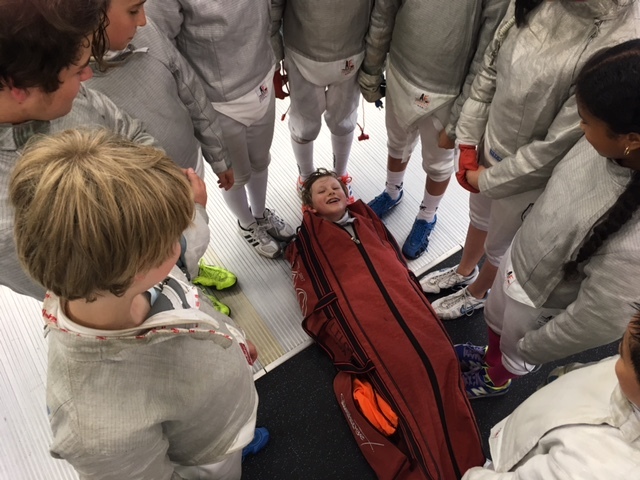 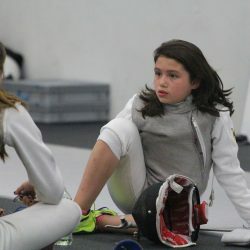 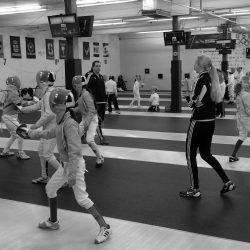 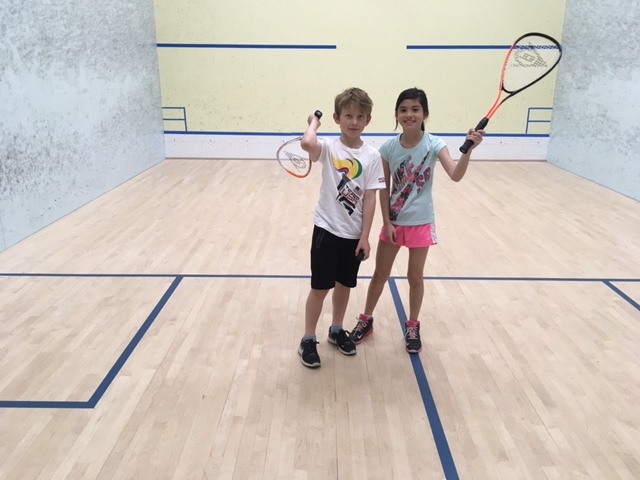 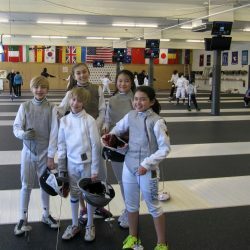 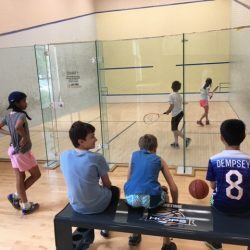 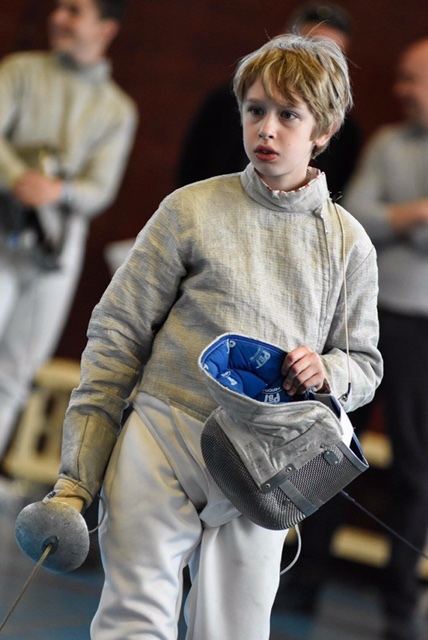 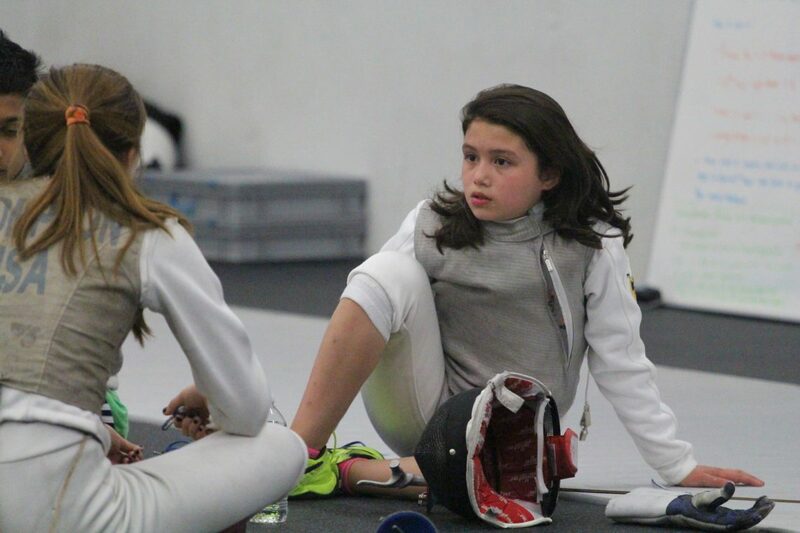 We offer summer fencing camps that are a great way to deepen a child’s involvement in the sport or as a way of getting new students interested and excited about fencing and to give them a boost in their skills right from the beginning. 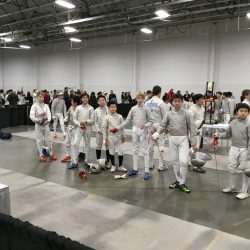 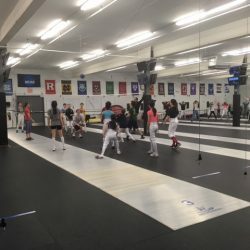 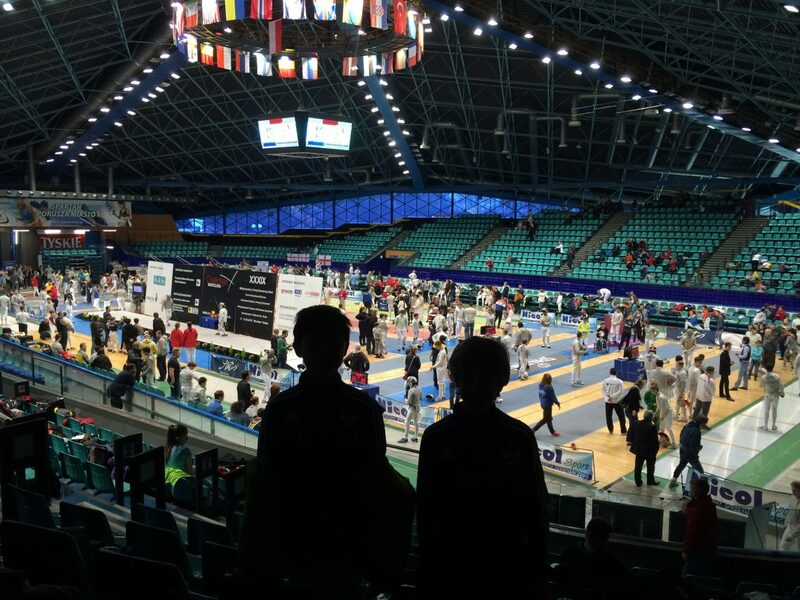 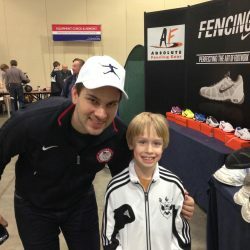 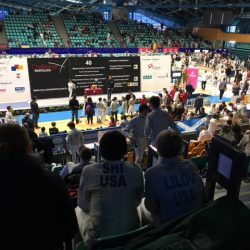 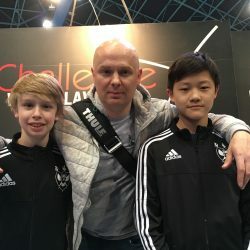 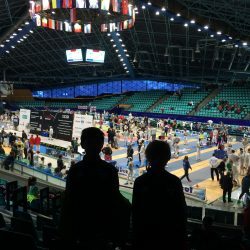 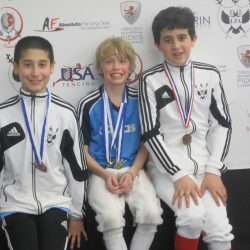 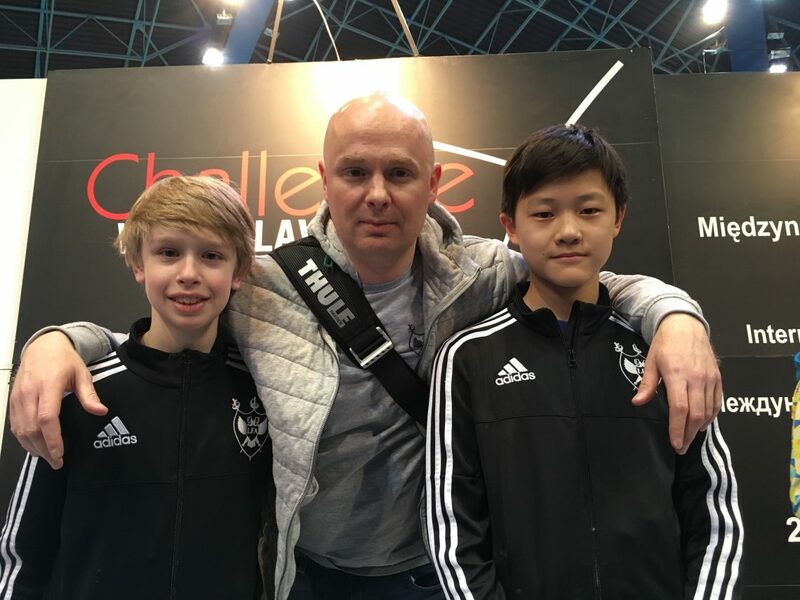 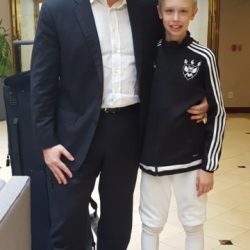 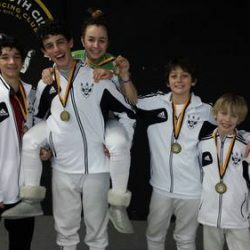 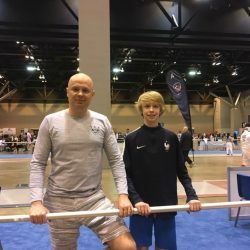 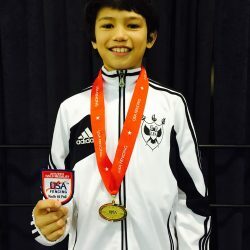 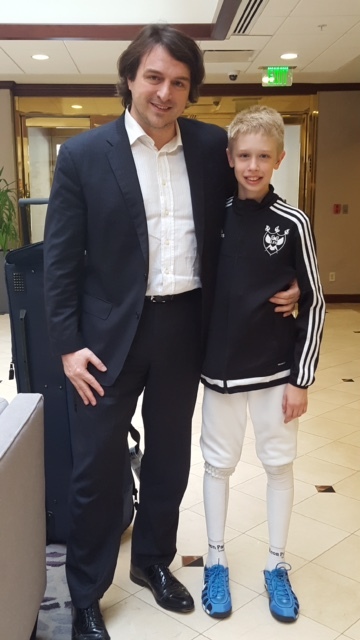 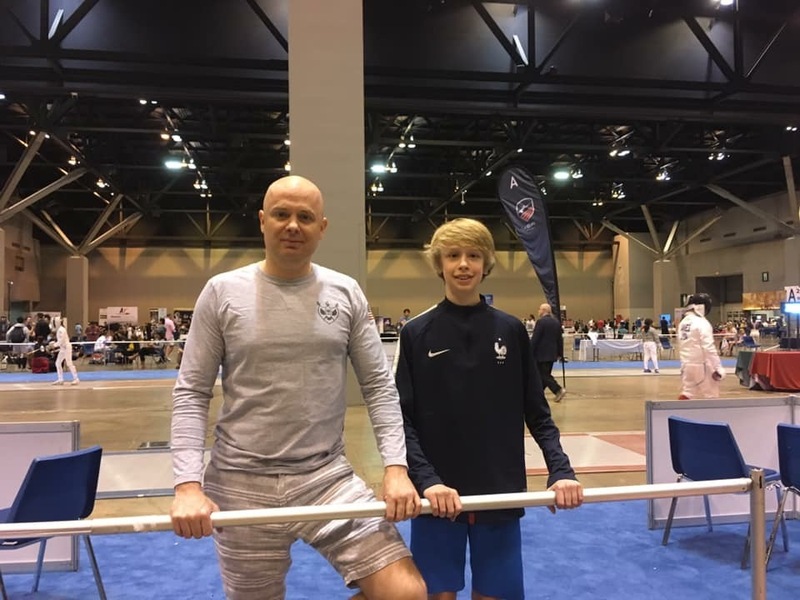 We look forward to providing your children with world-class fencing classes that connect them to this incredible sport. 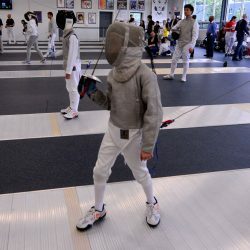 Call us today if you need more information about our fencing school.